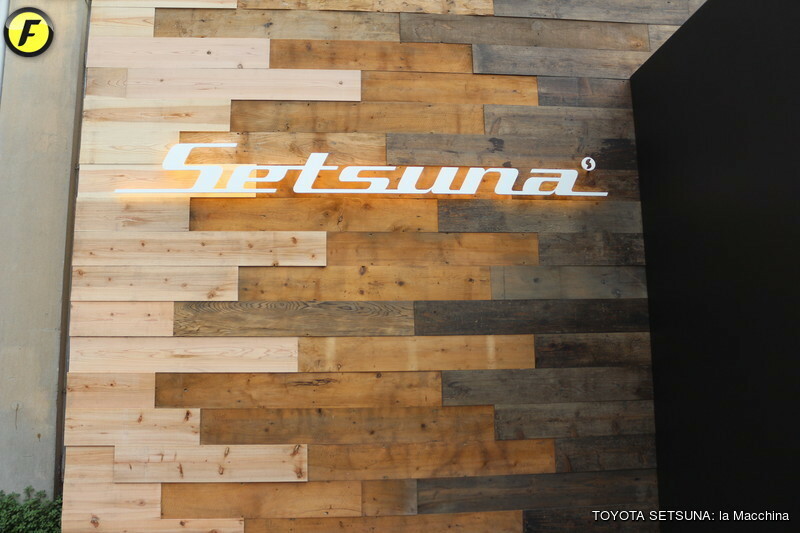 THE SETSUNA: NOT JUST A CAR, A FRIEND FOR LIFE! 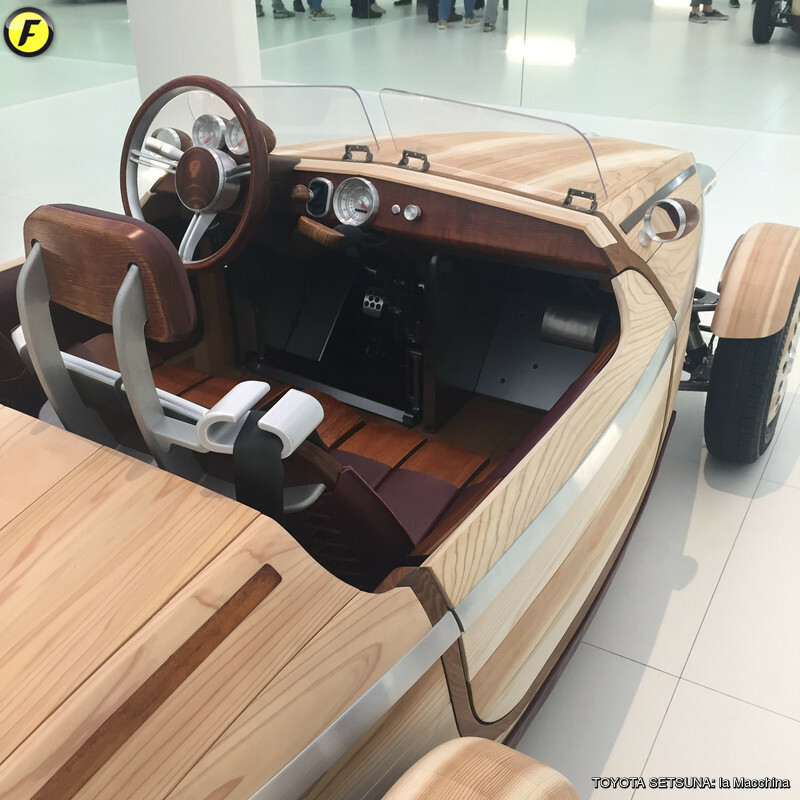 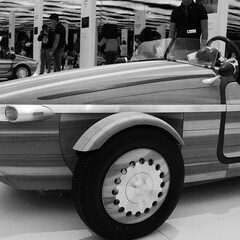 Being a prototype created not intended for production use but solely as an exercise in conceptual design, this eco-roadster will be presented on April 11th at the FuoriSalone in via Tortona 31, in the heart of Milan Design Week. 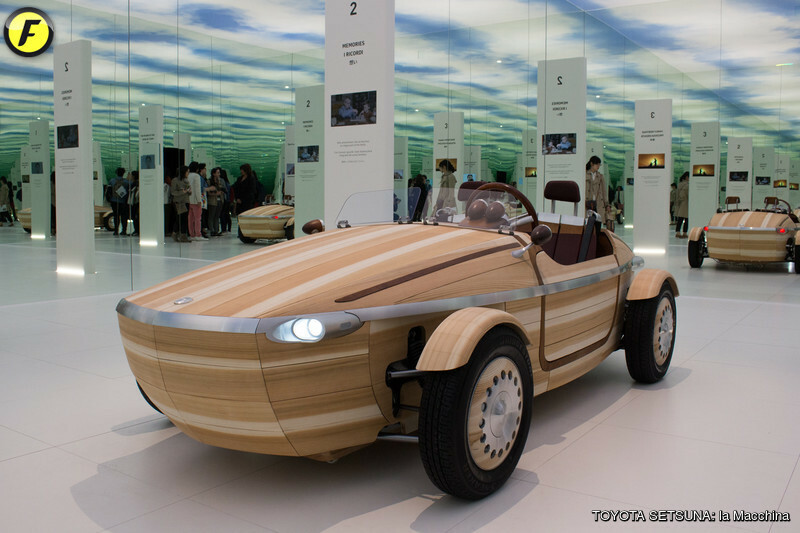 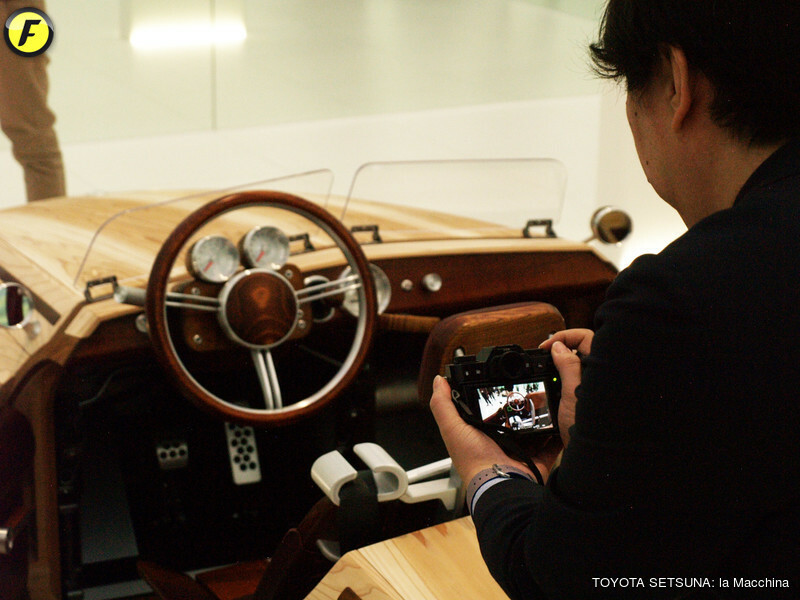 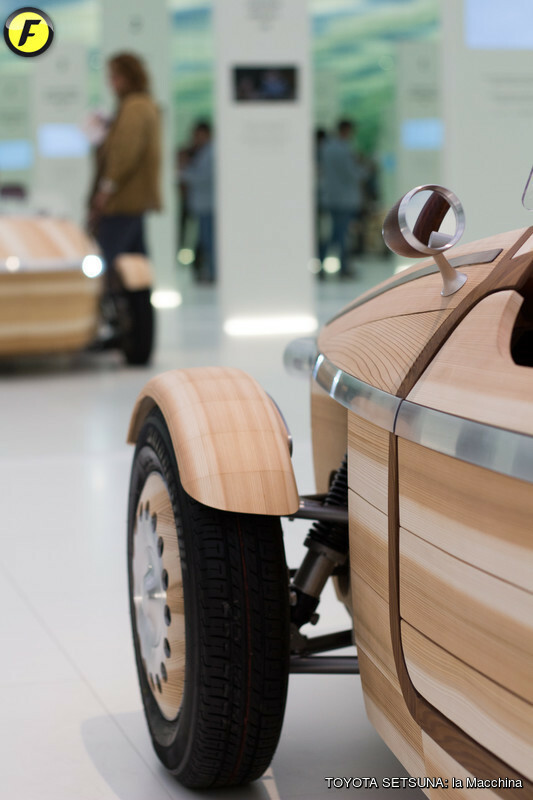 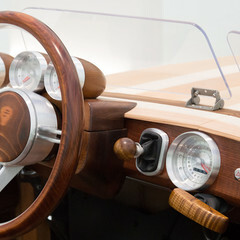 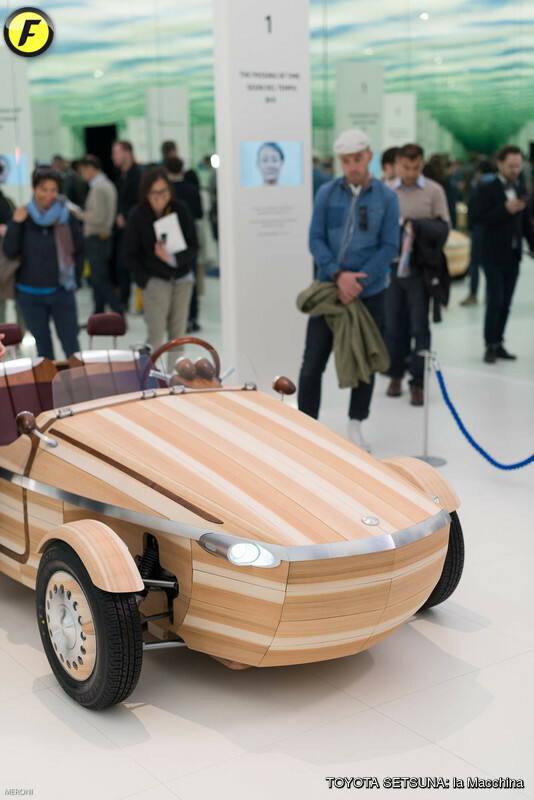 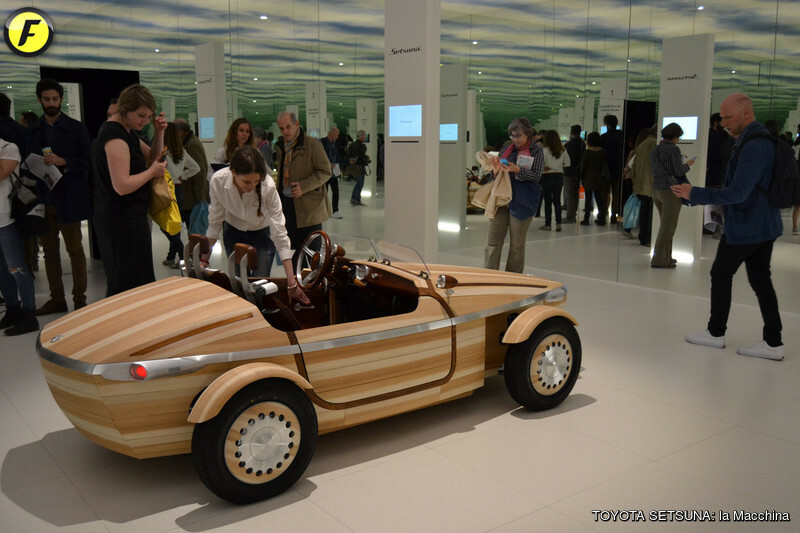 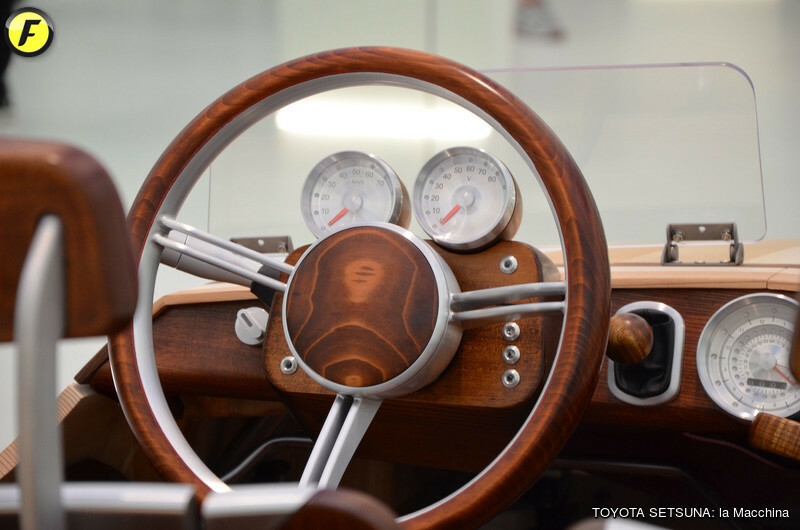 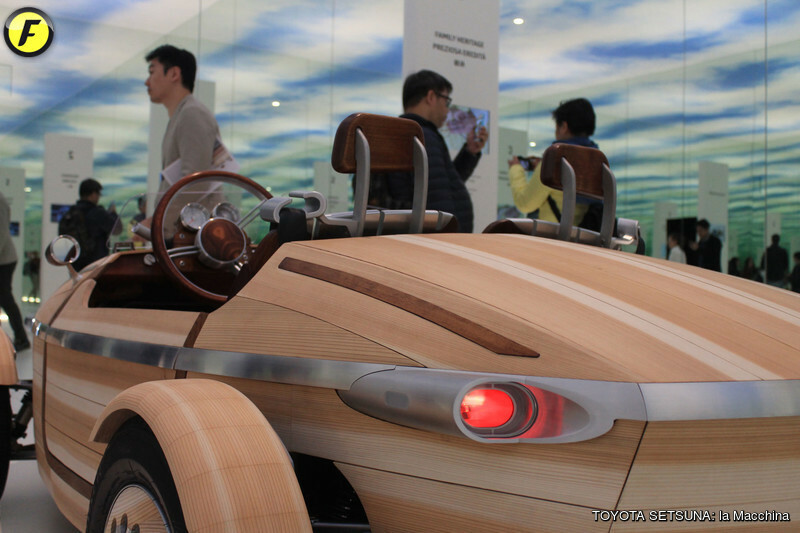 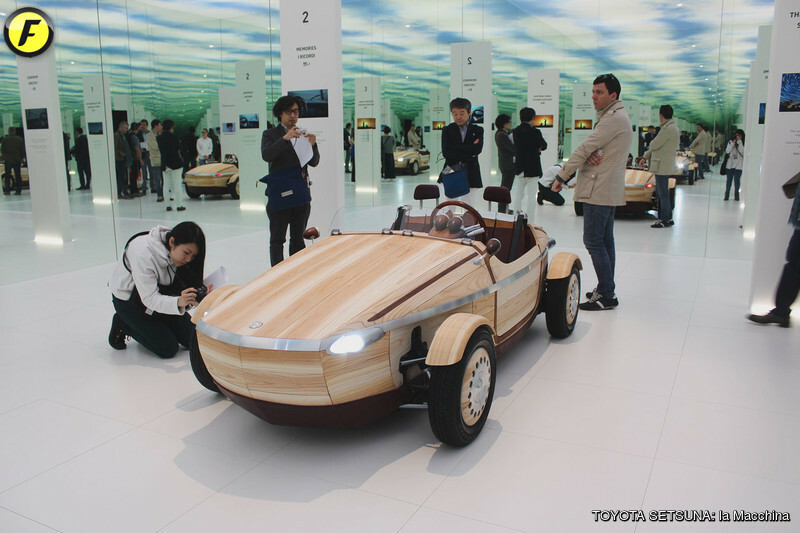 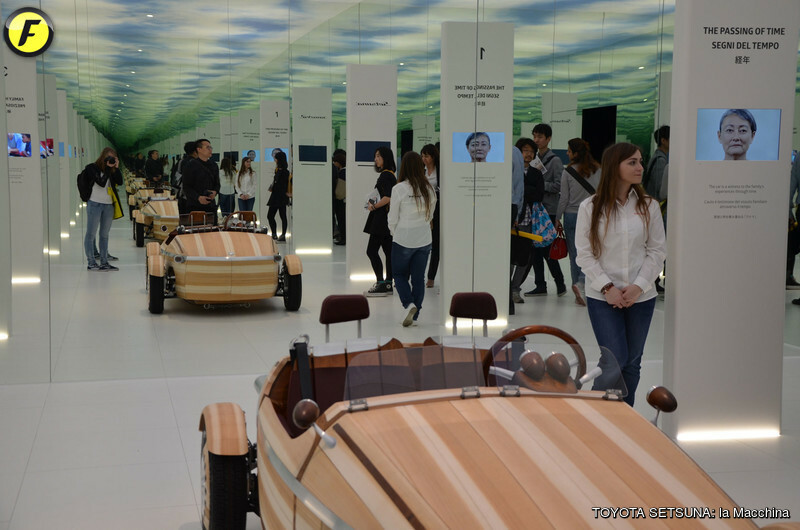 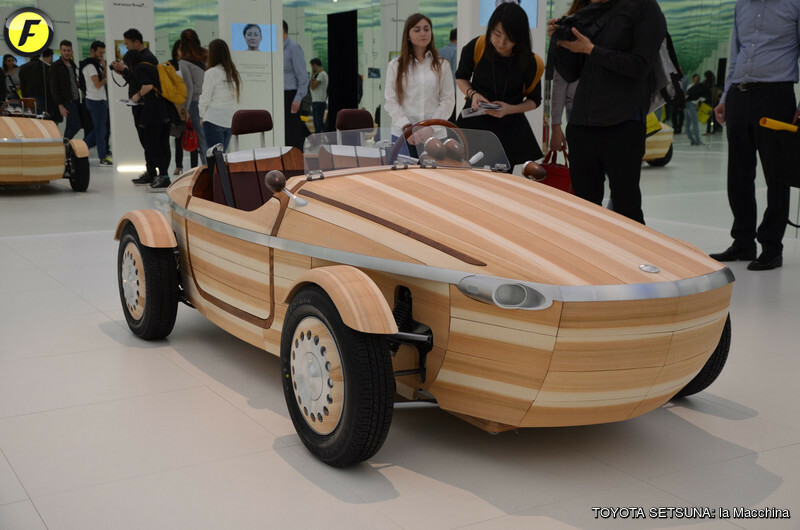 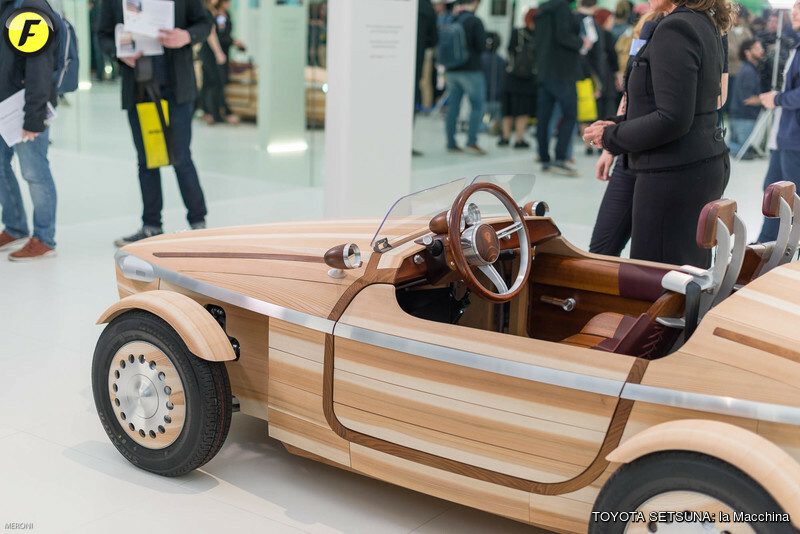 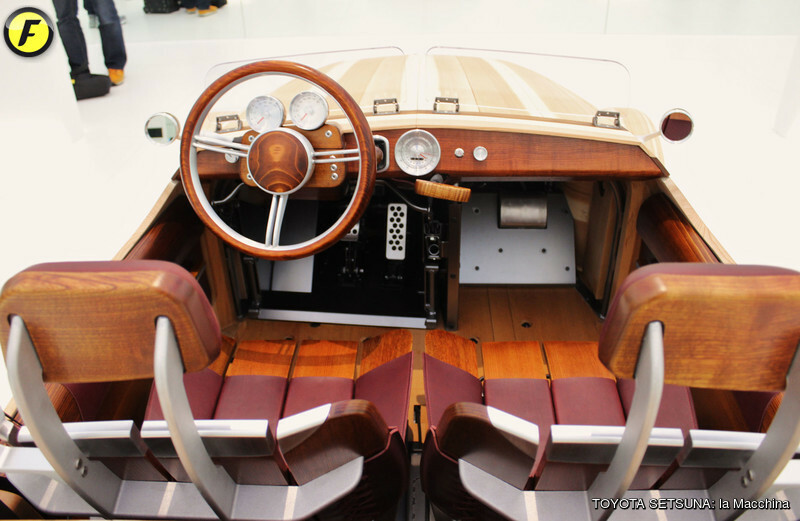 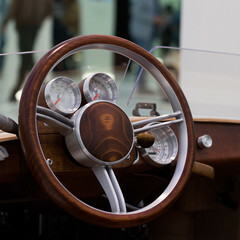 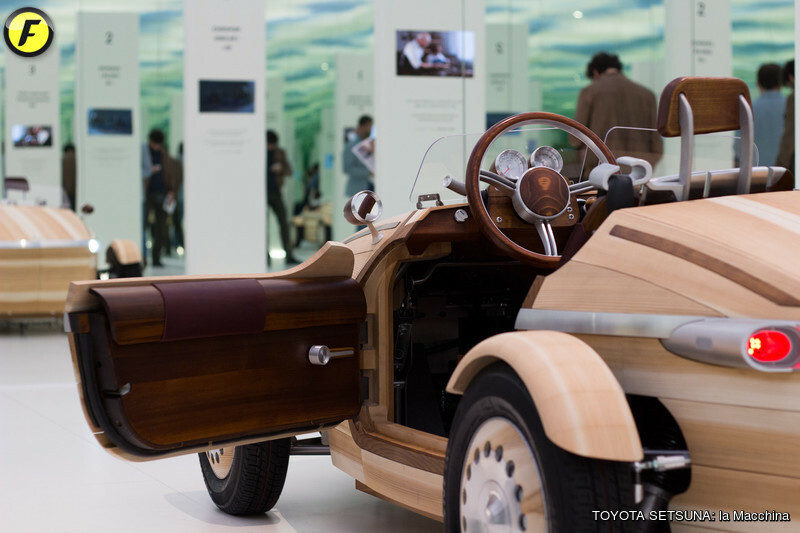 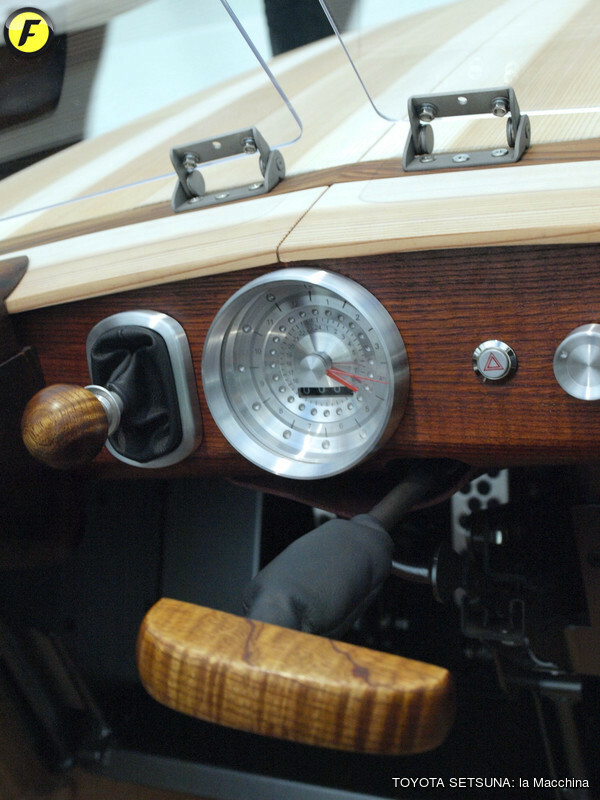 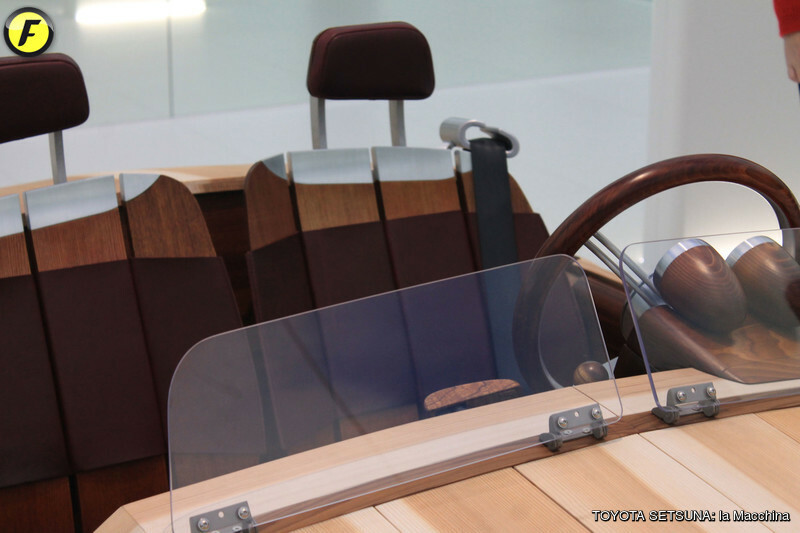 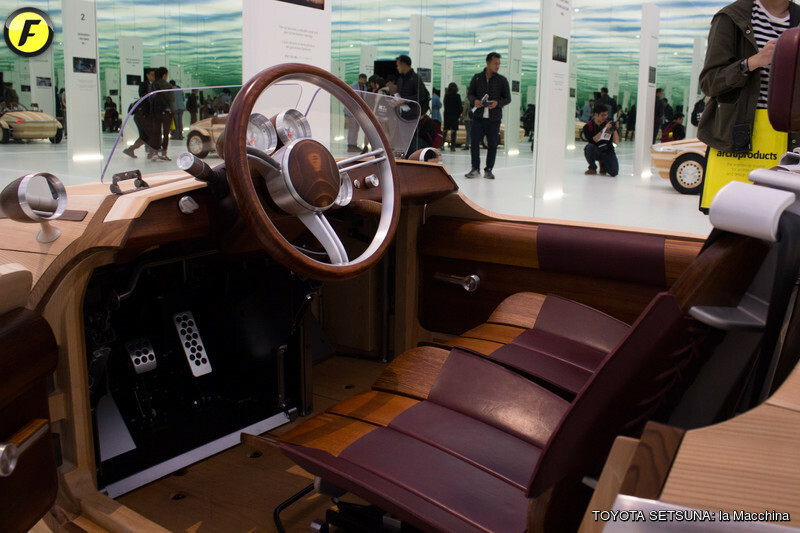 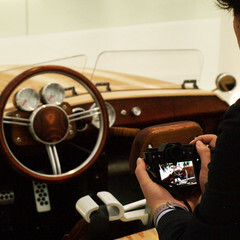 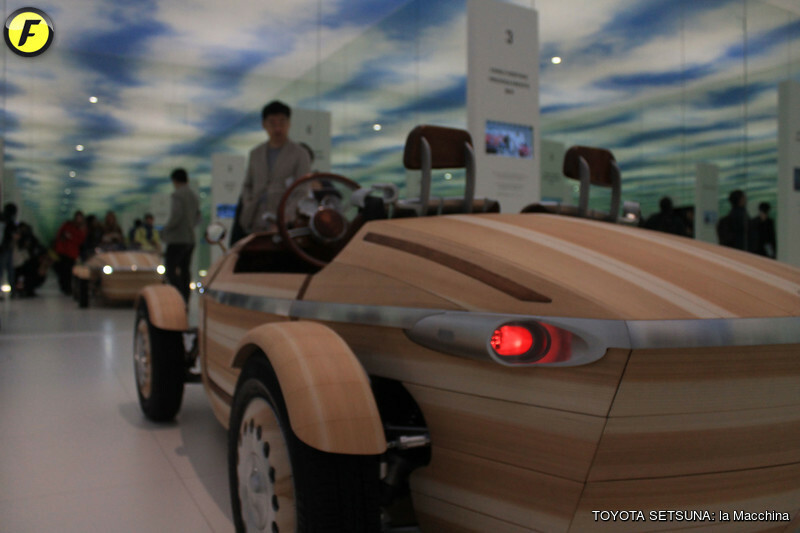 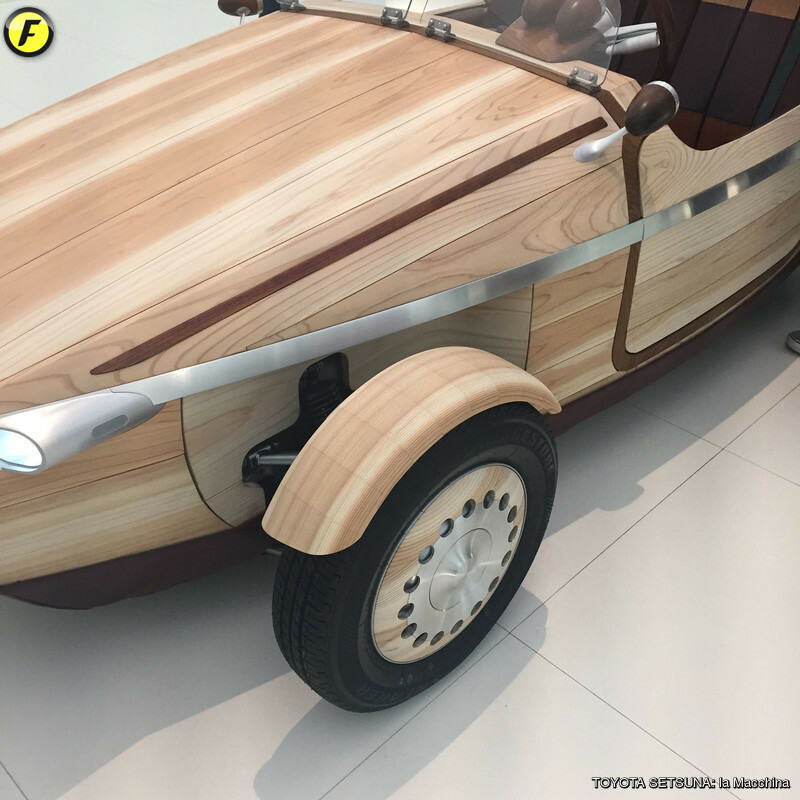 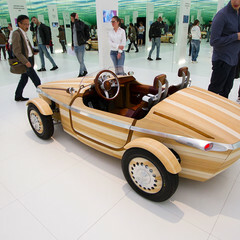 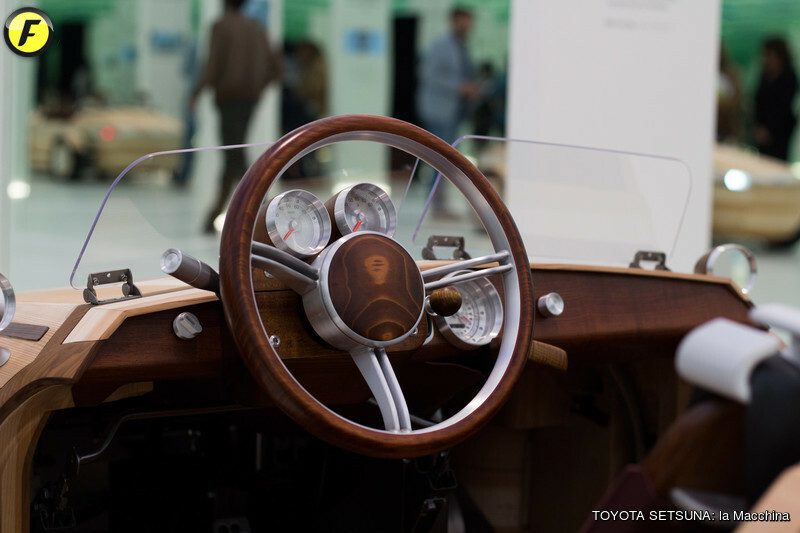 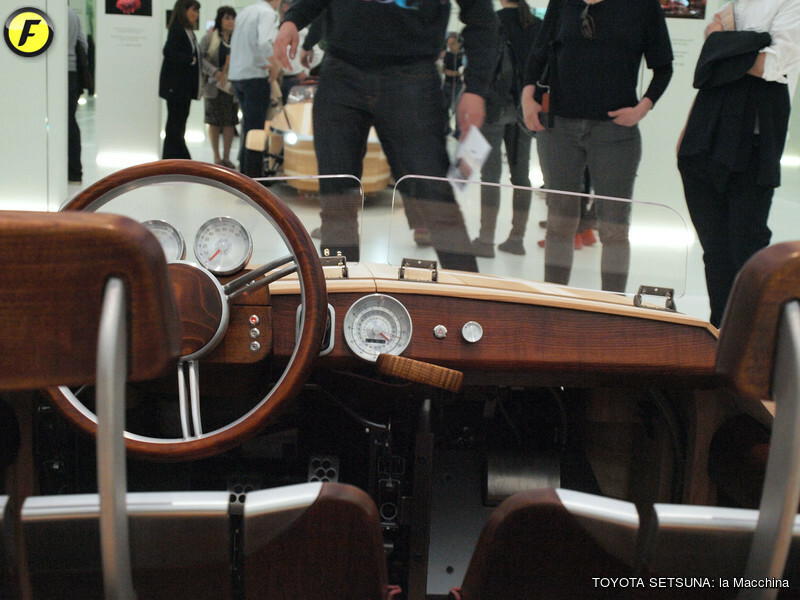 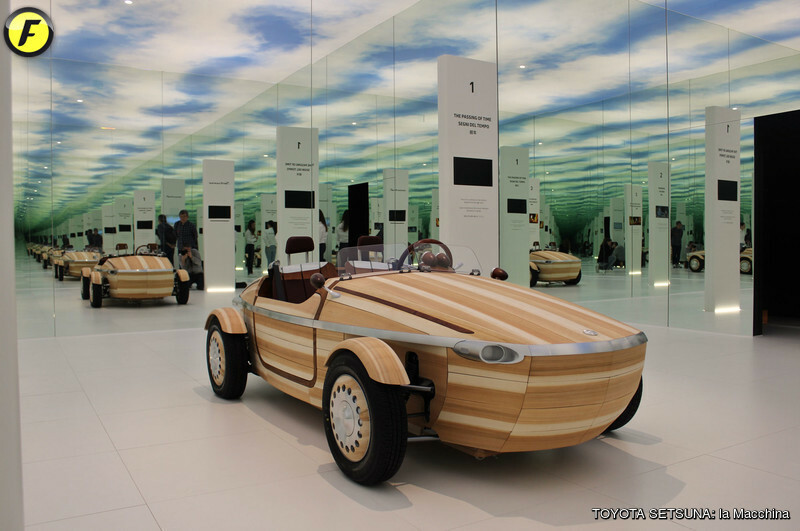 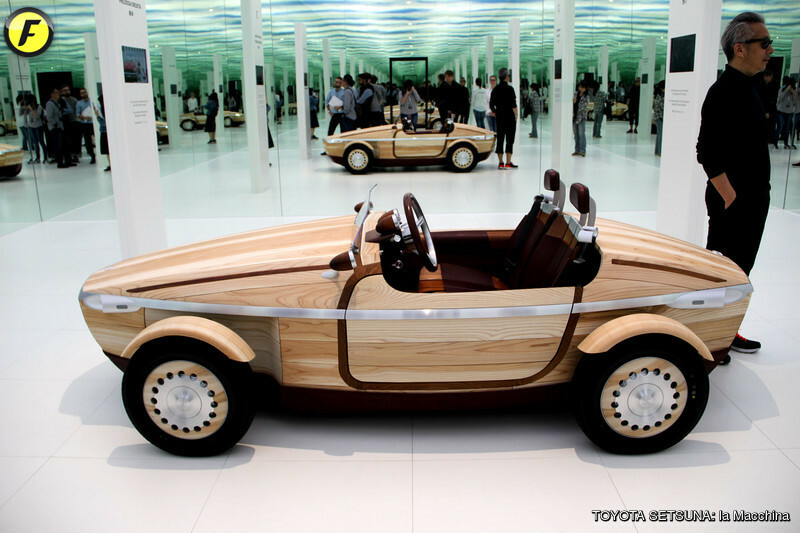 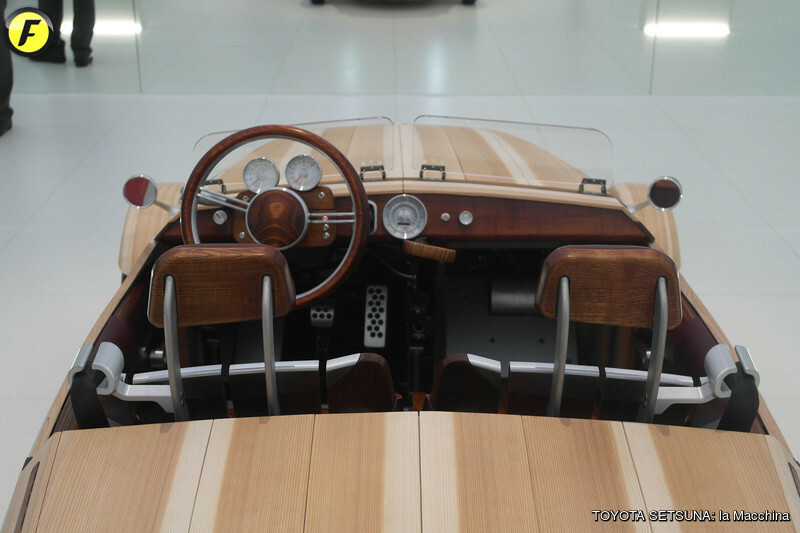 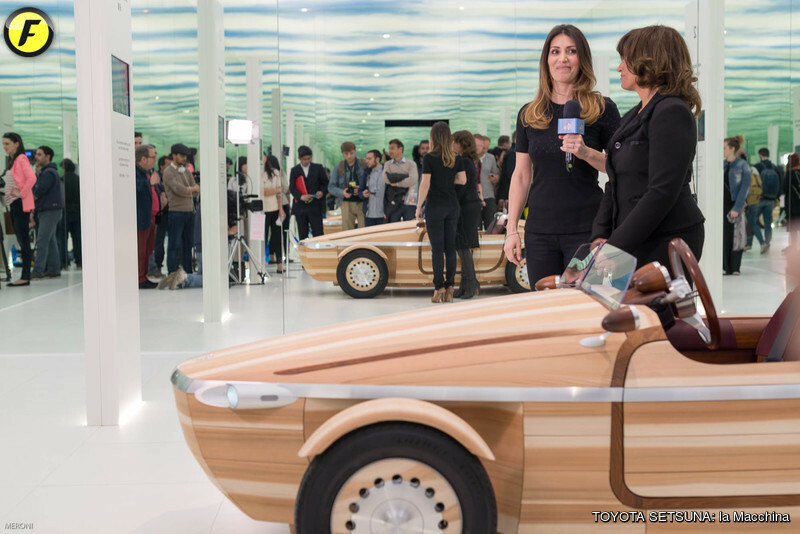 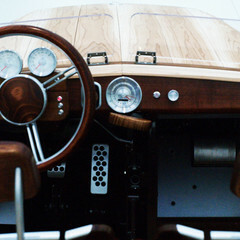 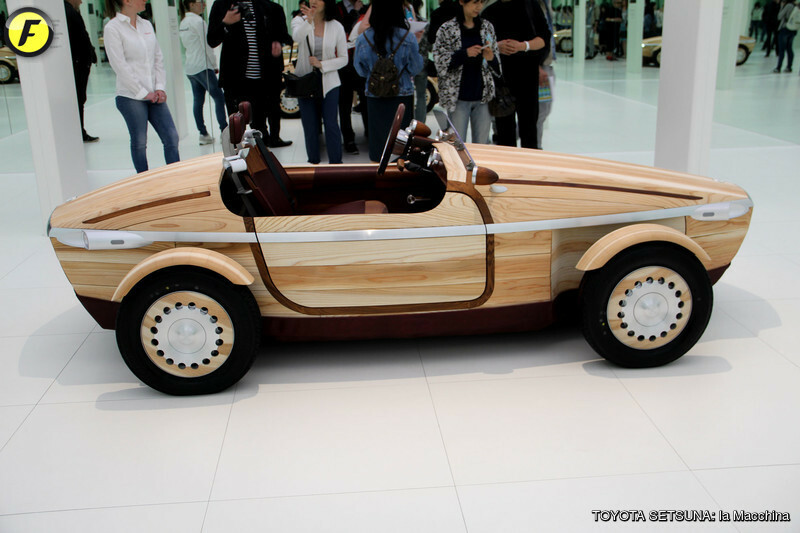 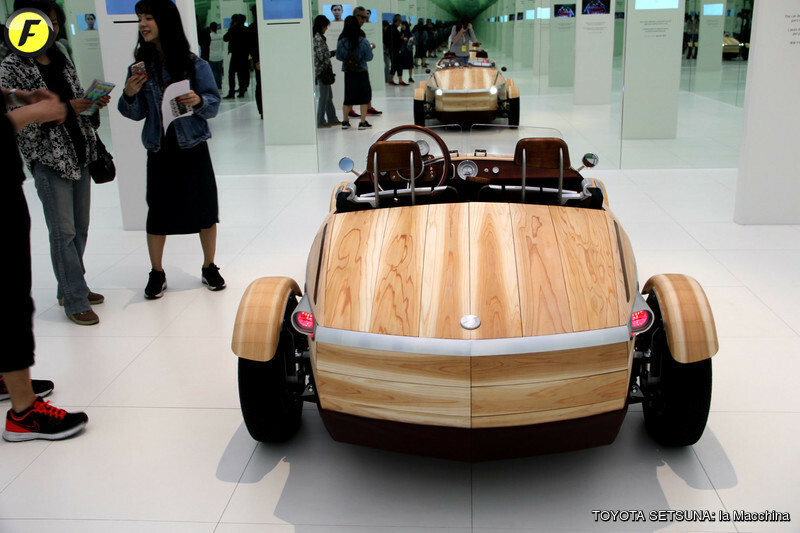 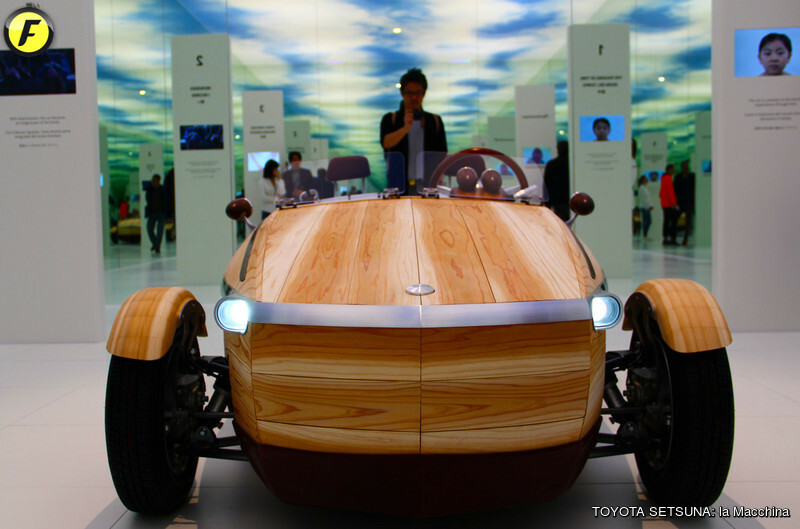 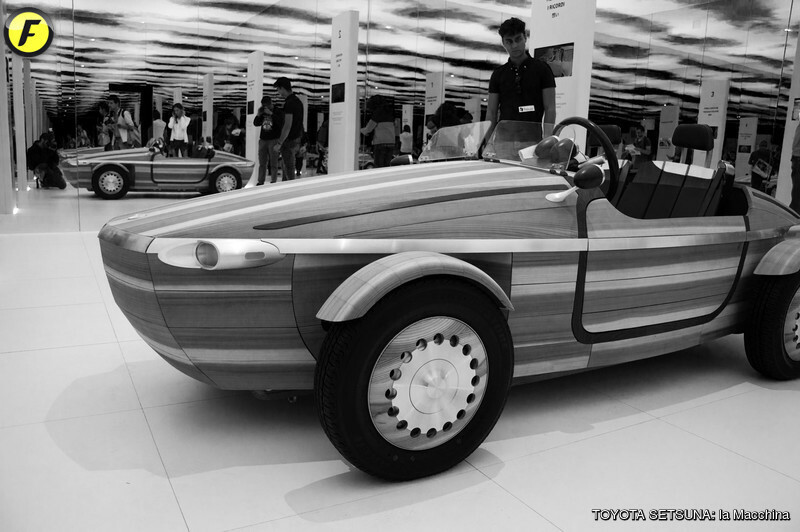 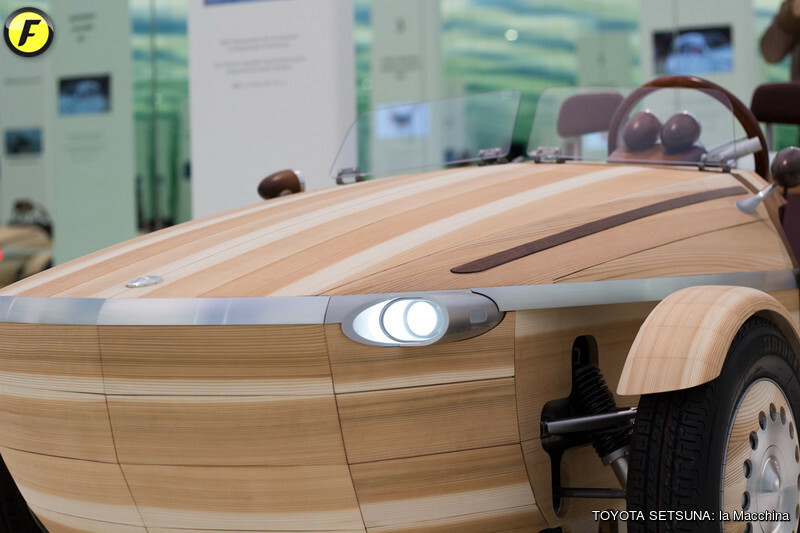 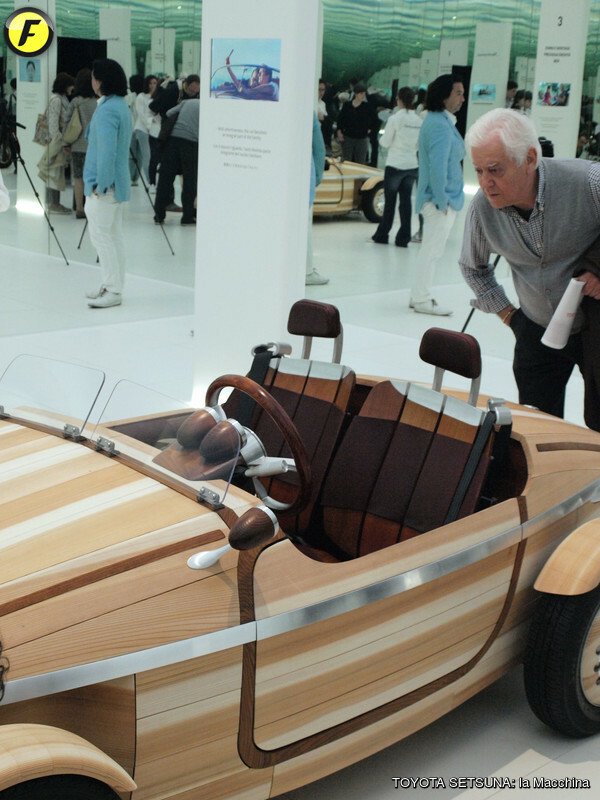 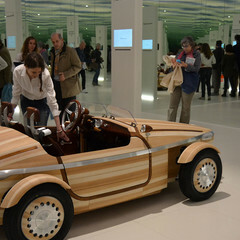 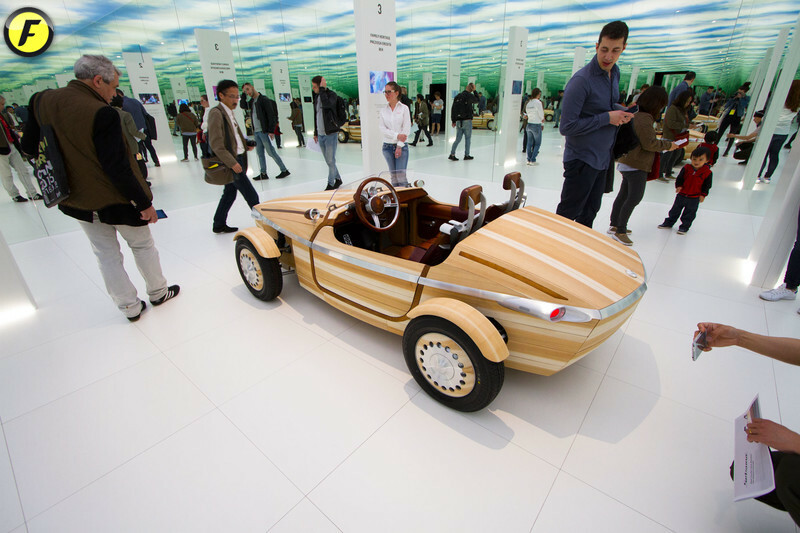 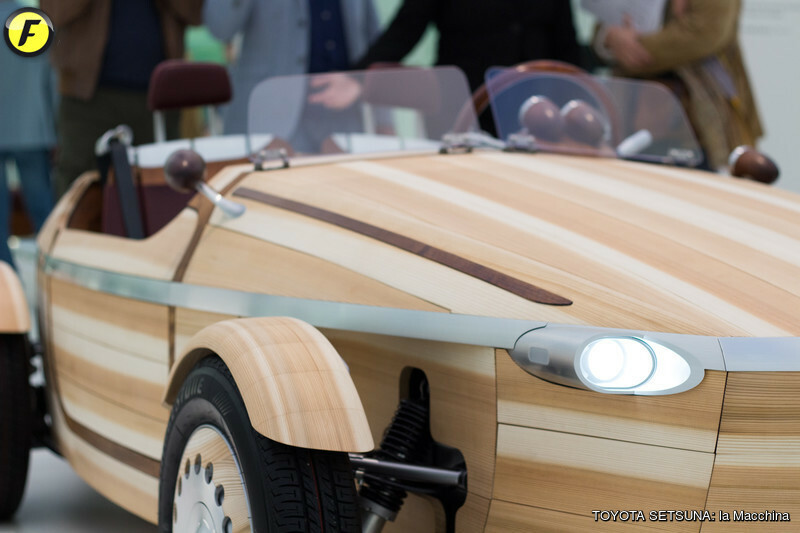 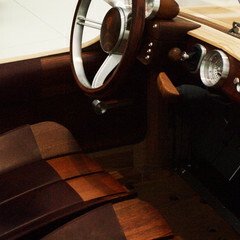 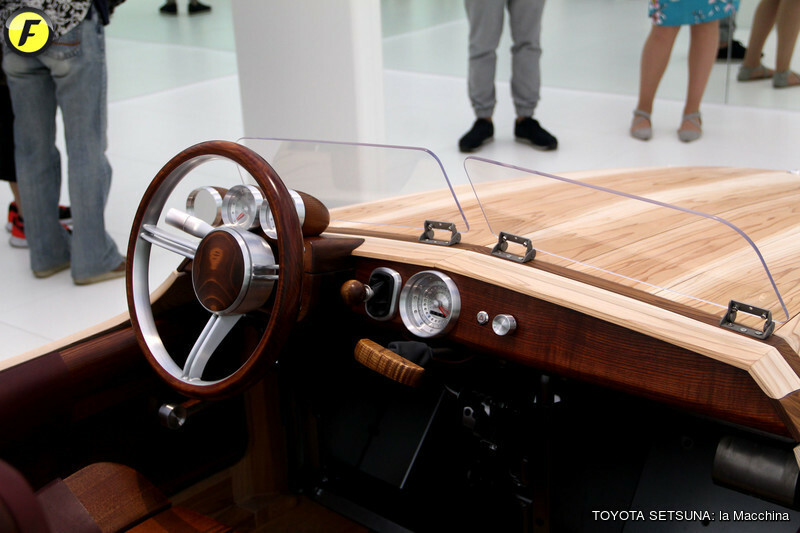 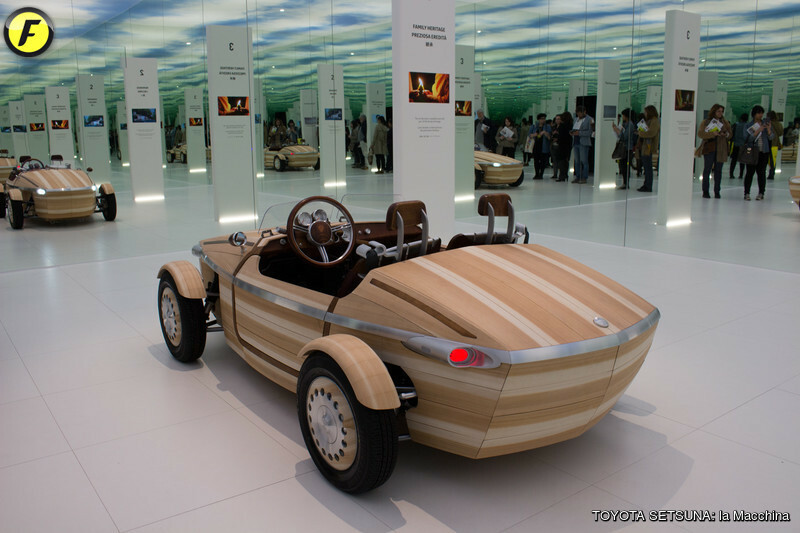 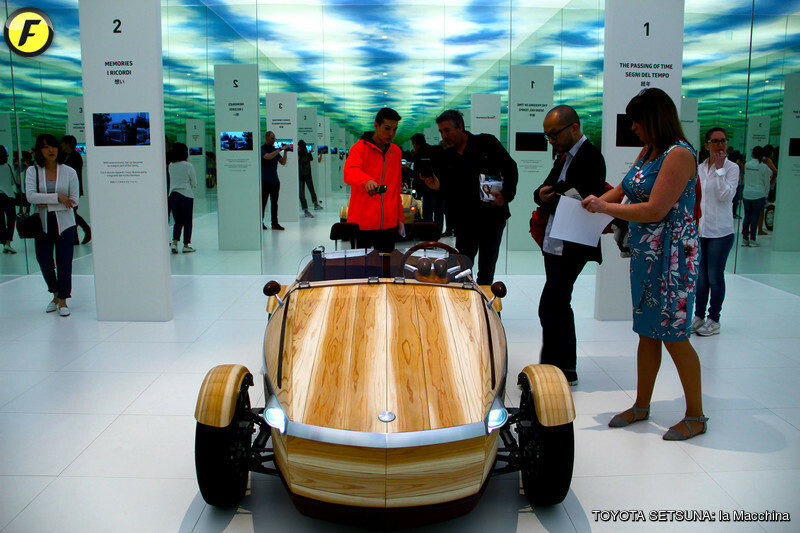 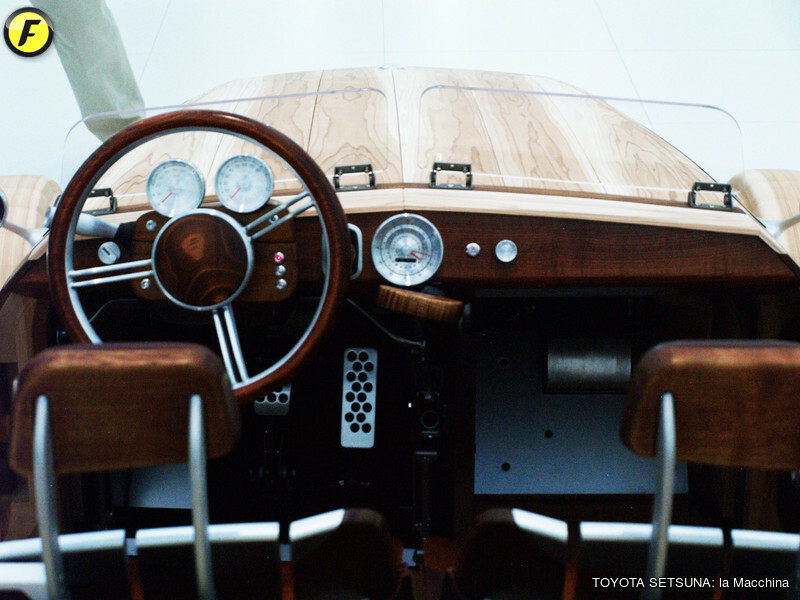 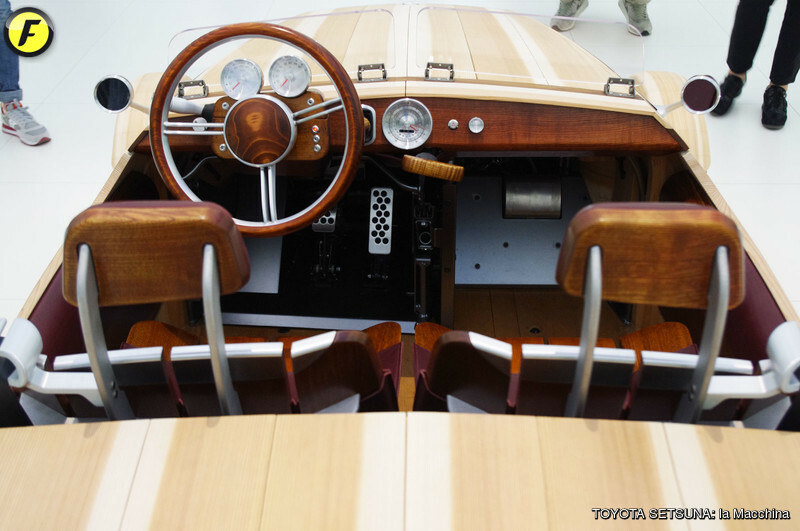 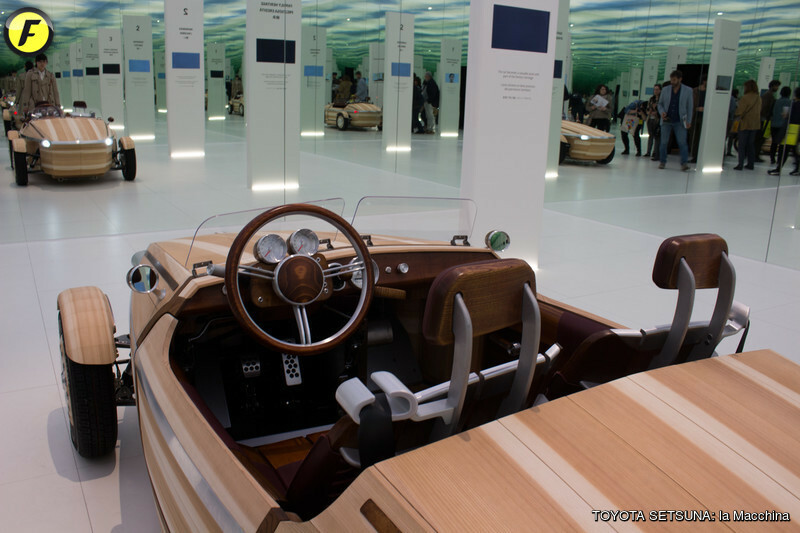 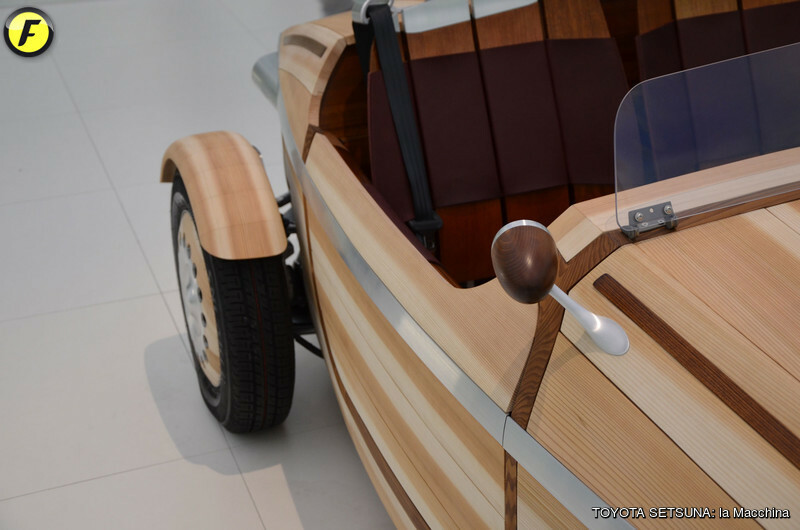 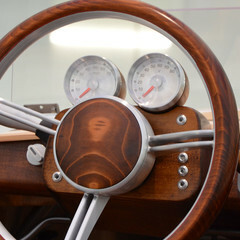 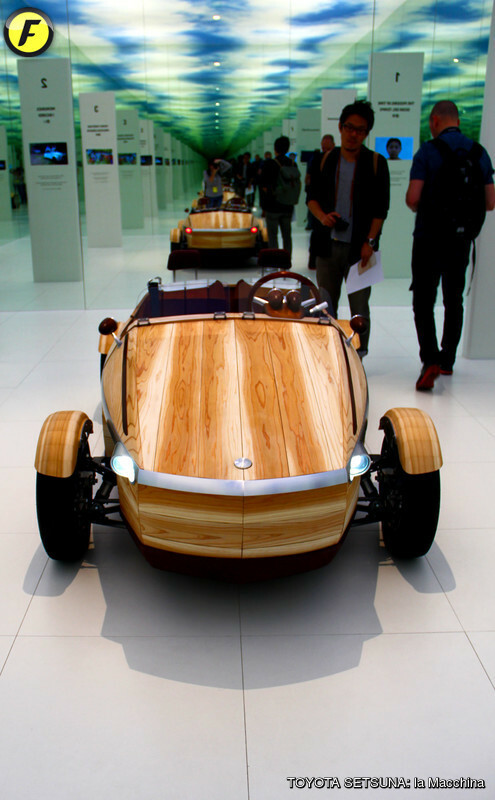 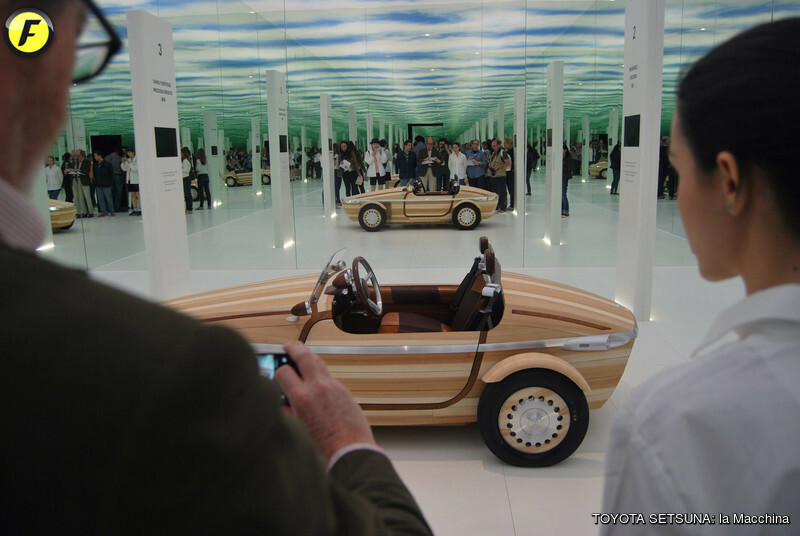 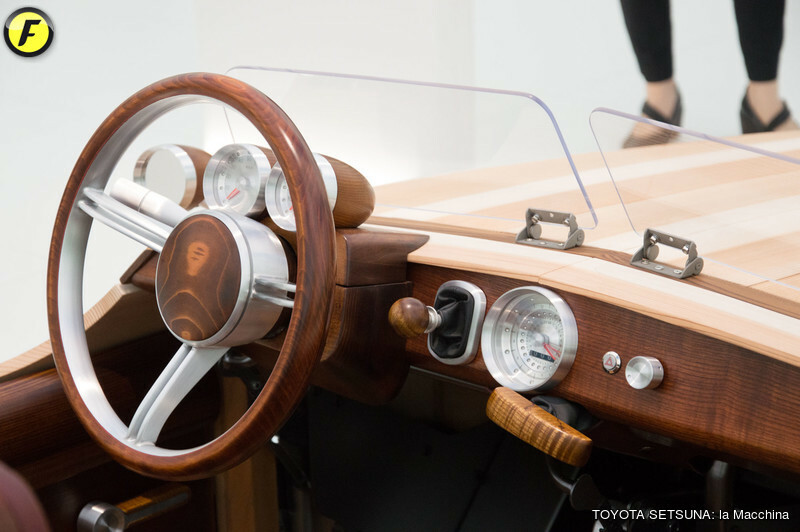 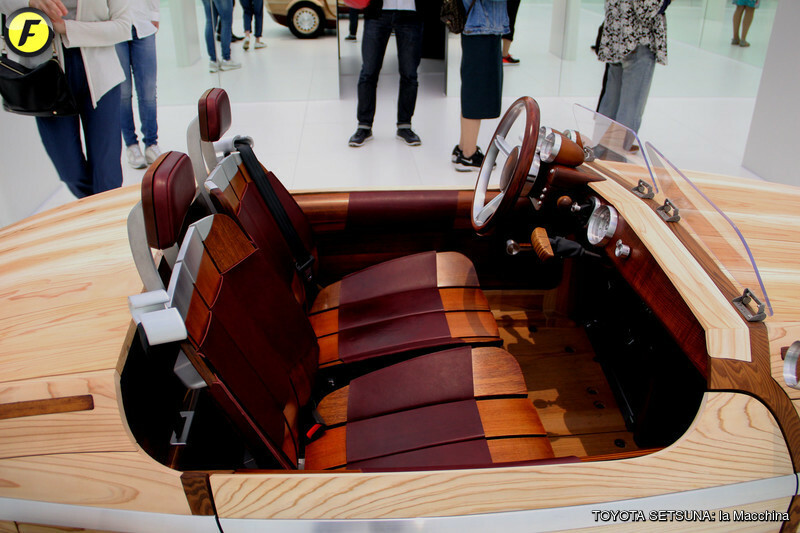 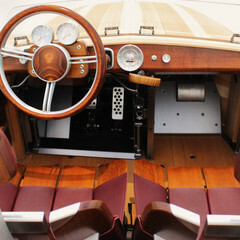 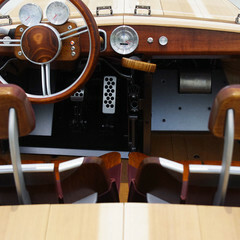 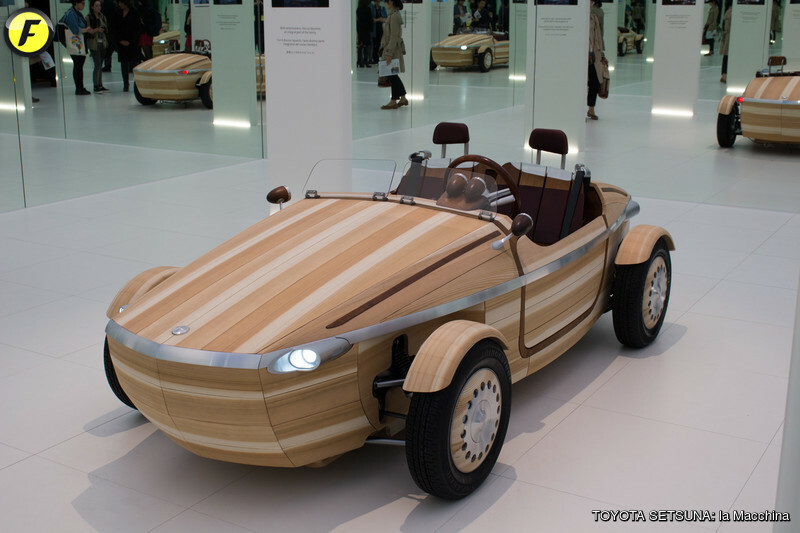 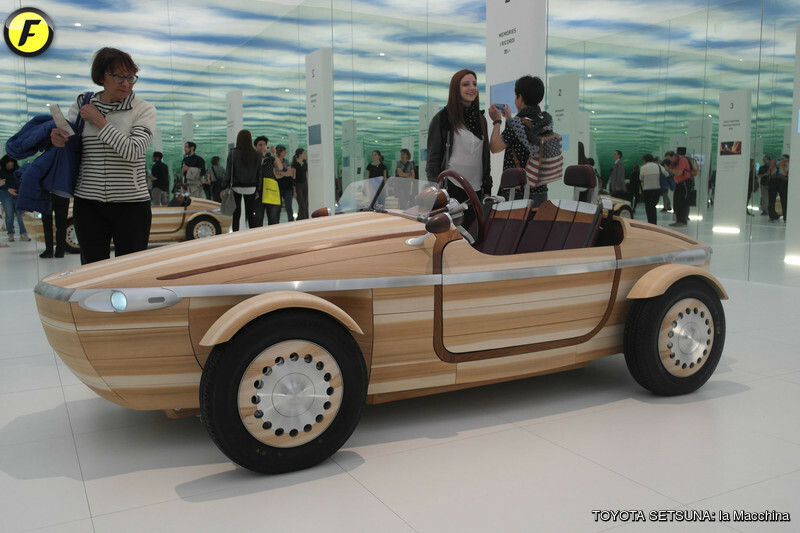 THE SETSUNA (which means 'moment') is made almost exclusively of wood and brings back memories of a 50s speedboat, "designed with love, born strong and pure like a race horse. 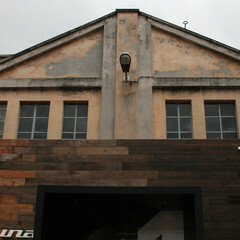 Unforgettable!" 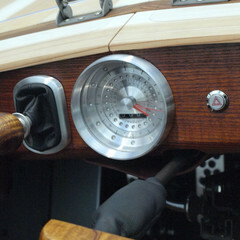 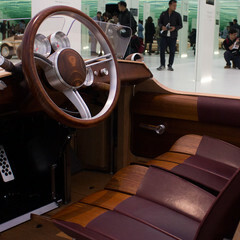 as Carlo Riva described his 'Ariston' in the years of post-war Italian industrial renaissance. 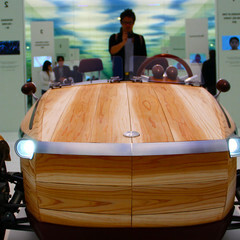 The development of this concept was supervised by Eng. 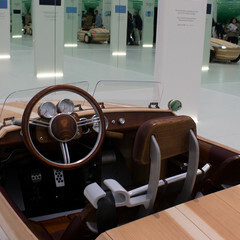 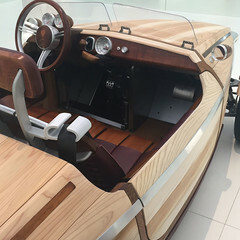 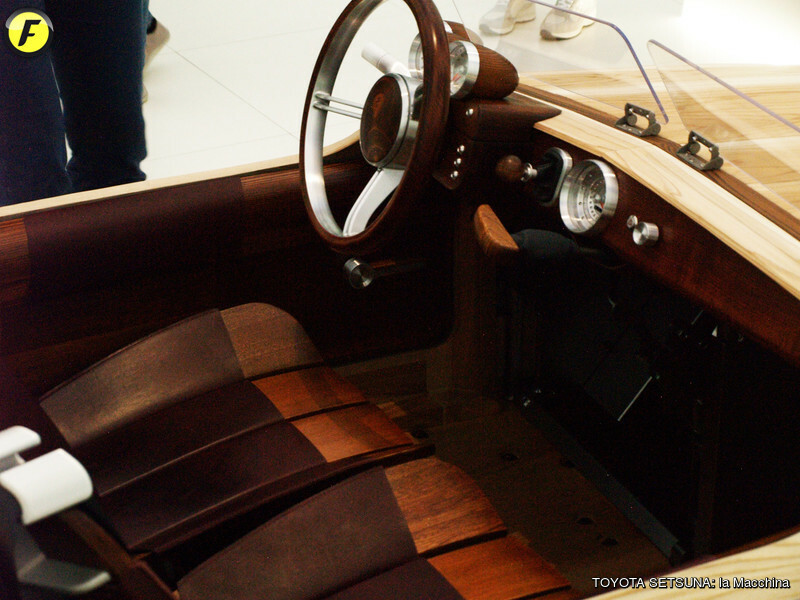 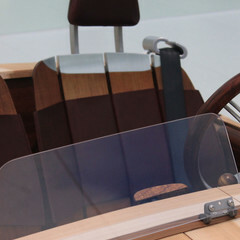 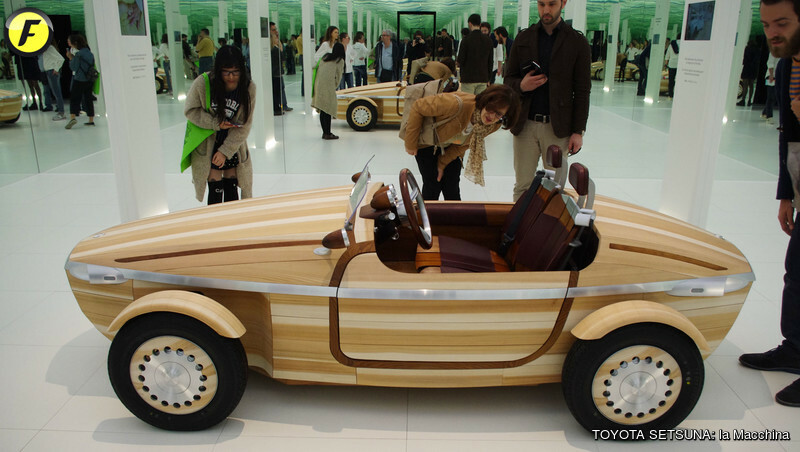 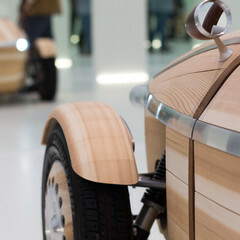 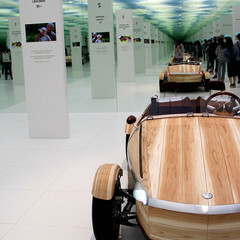 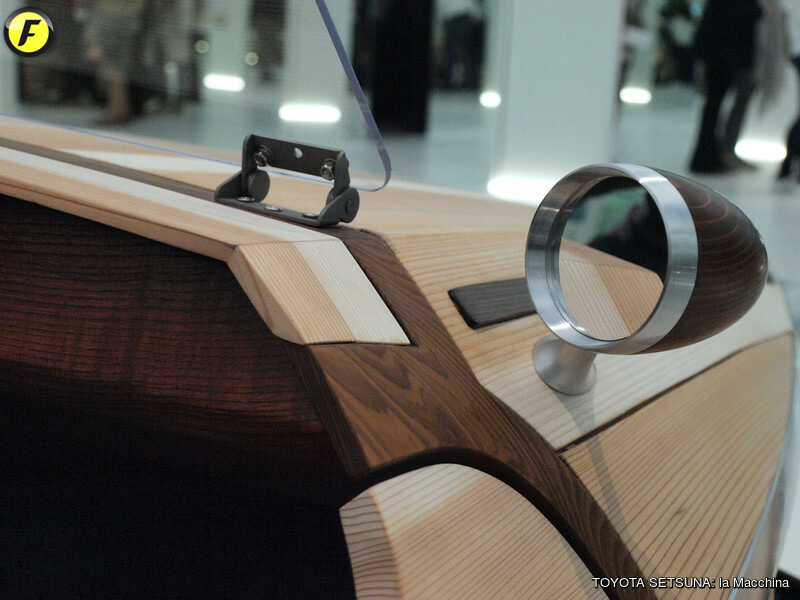 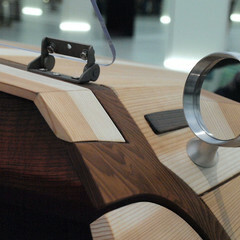 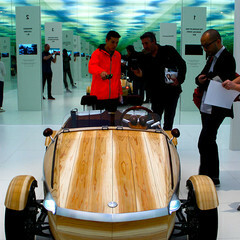 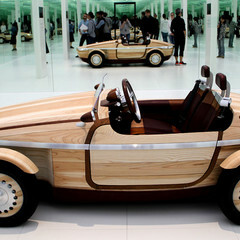 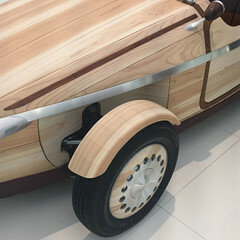 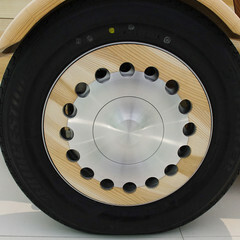 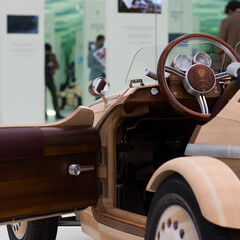 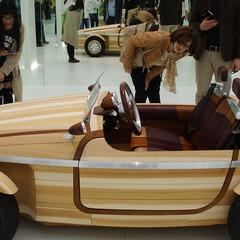 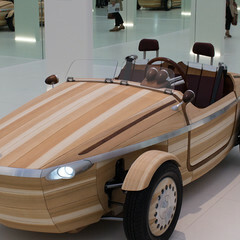 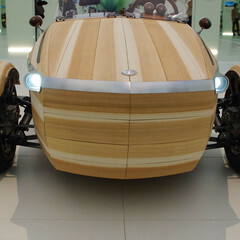 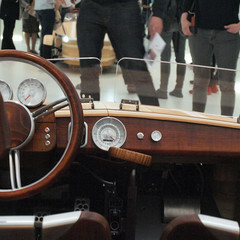 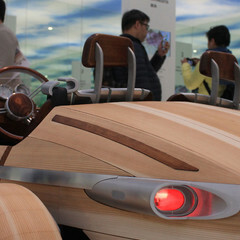 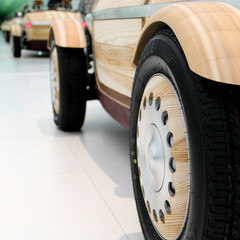 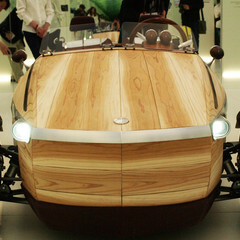 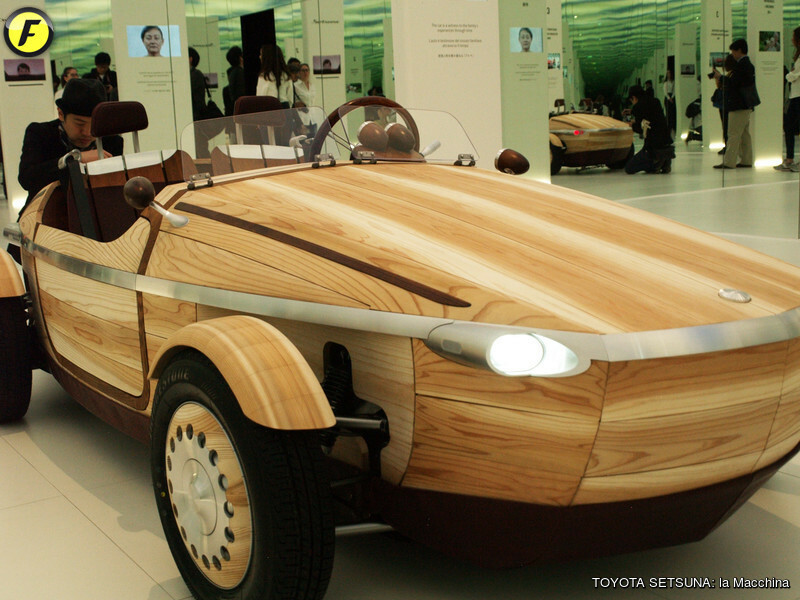 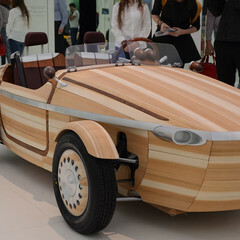 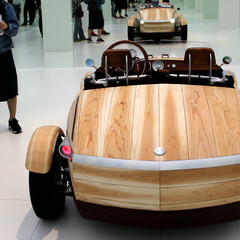 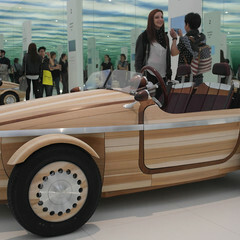 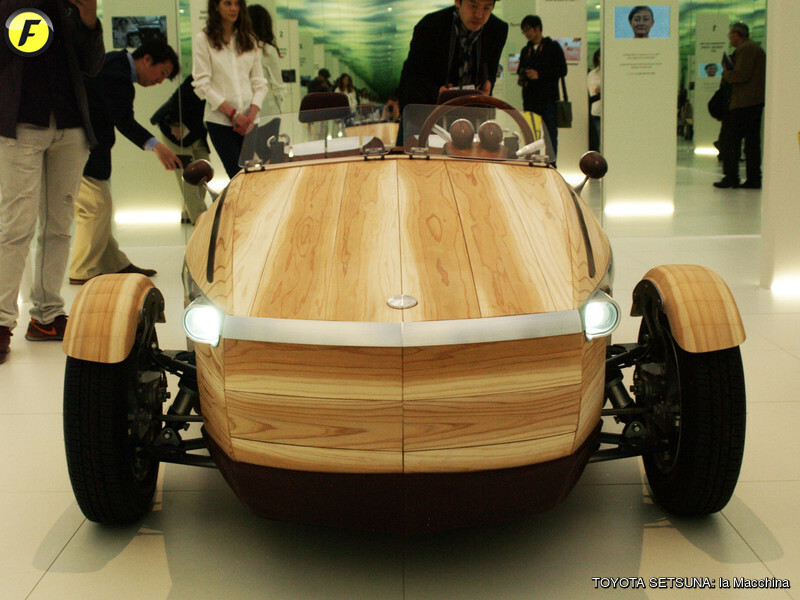 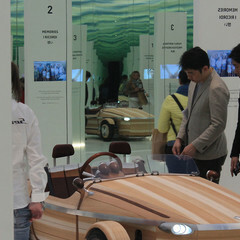 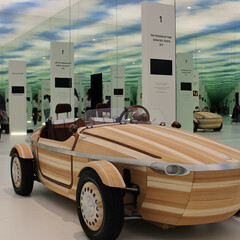 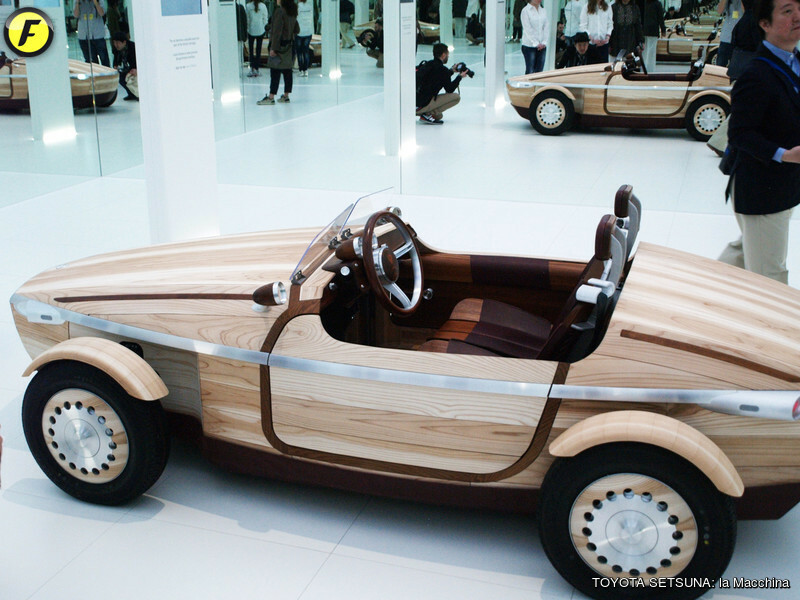 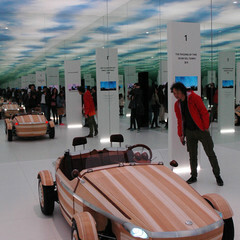 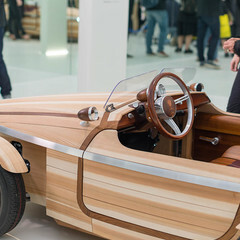 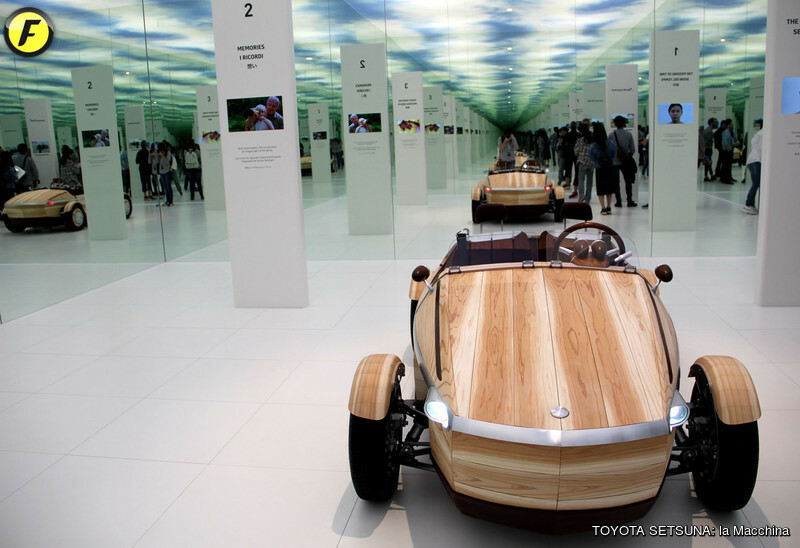 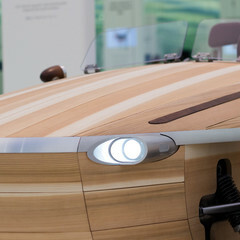 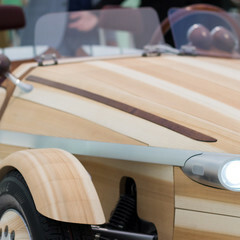 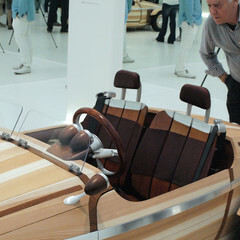 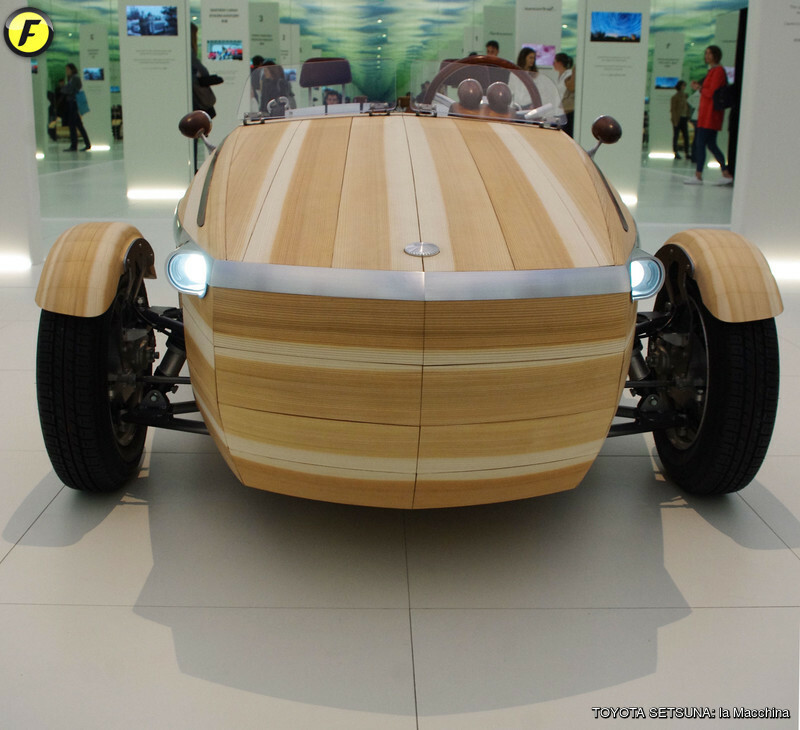 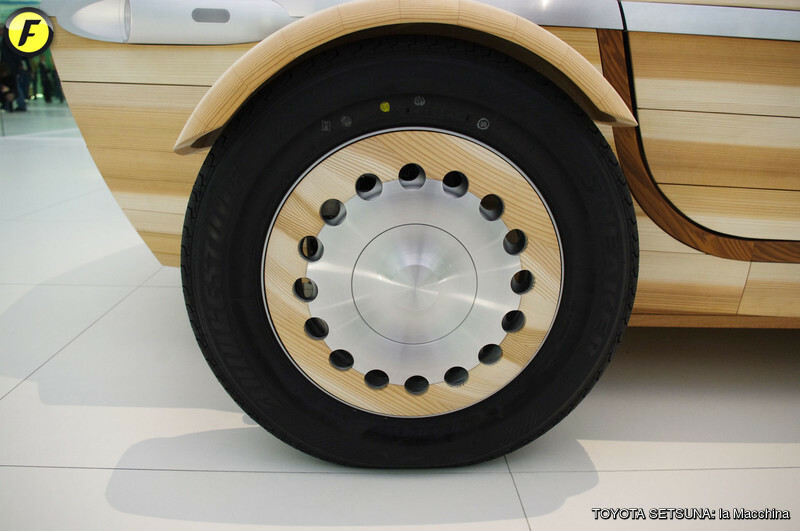 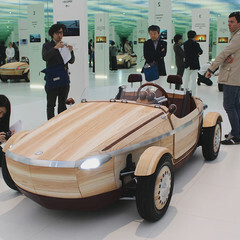 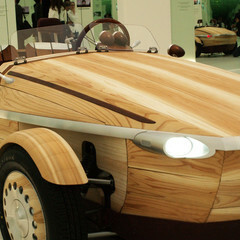 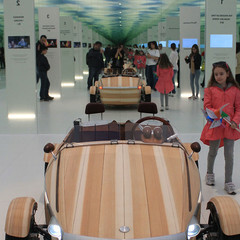 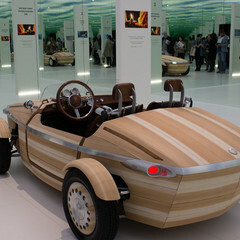 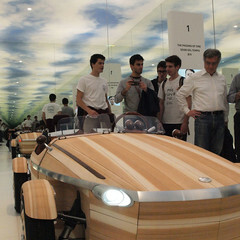 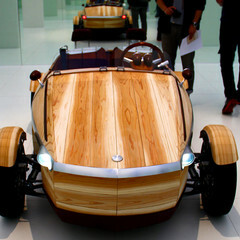 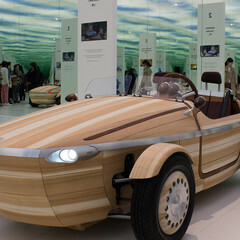 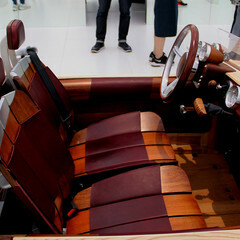 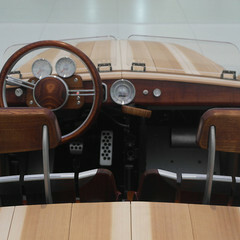 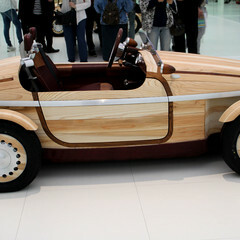 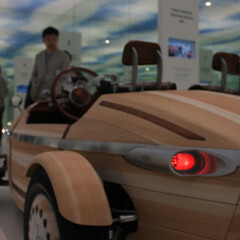 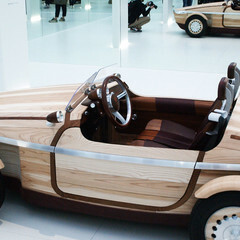 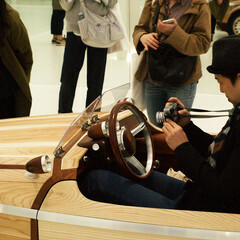 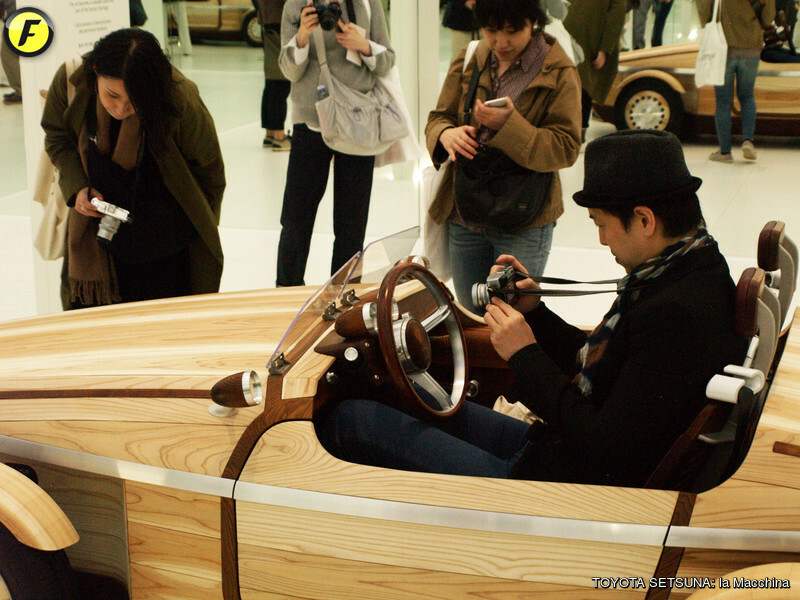 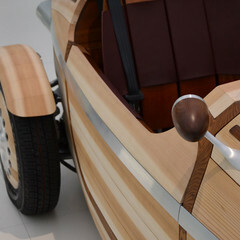 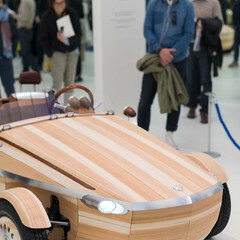 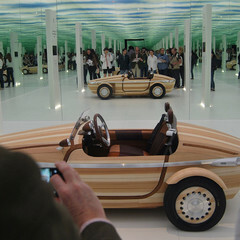 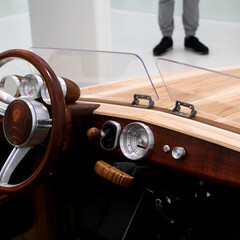 Kenji Tsuji, who has posed a constant attention to any single detail: the union between the car body panels (Japanese cedar for the exterior and birch for the frame) was obtained using the traditional technique ‘Okuriari ‘ that does not use nail or screw joints but only ‘dovetail’, fully respecting the green paradigm. 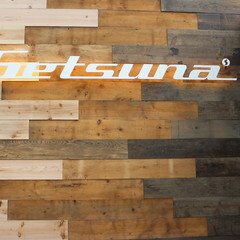 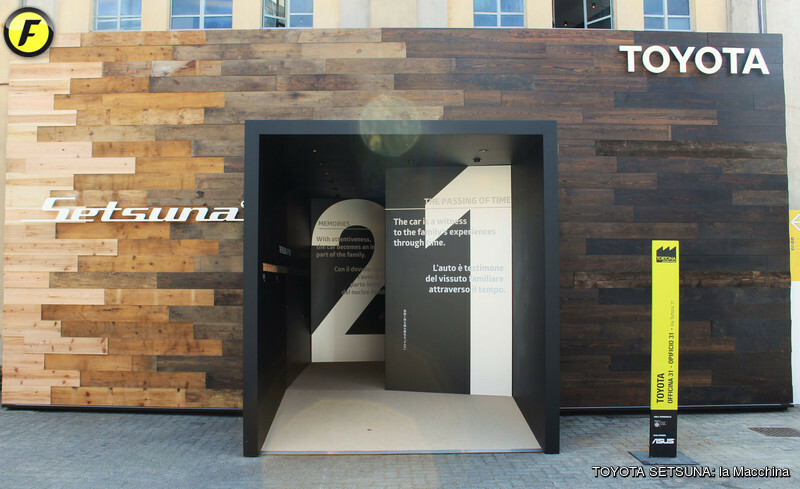 Conceptually very attractive, THE SETSUNA wants to be primarily a witness of the passage of time, assimilating deeply the family spirit in the progression and succession of events. 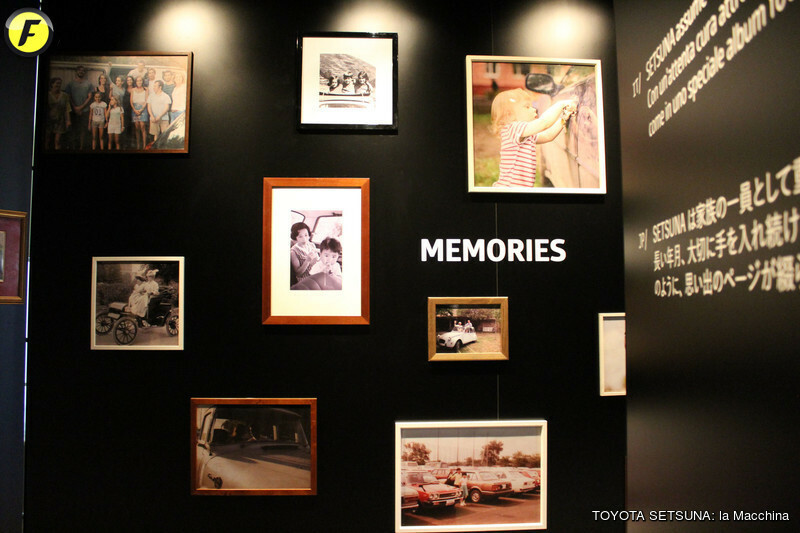 Handed down from father to son, as a precious legacy, bringing up old memories, images, places and people, telling the story of the family for future generations. 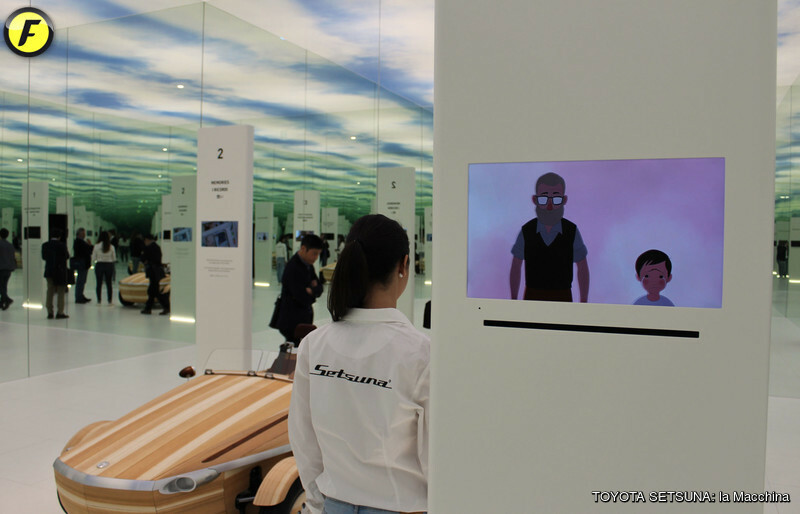 What emerges is a fascinating vision, a poetic spirit that offers evidences in a greater awareness of symbolic and emotional values. 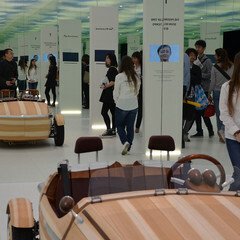 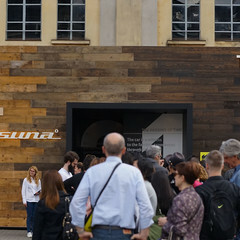 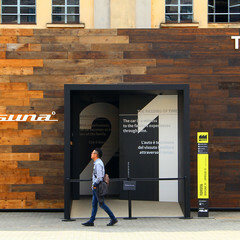 The exhibit design, conceived by Arch. 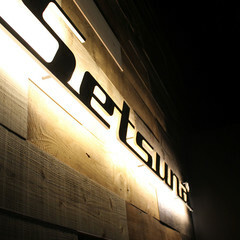 Naohiko Mitsui expresses great affinity to the conceptual nature of the project, by emphasizing the strength of THE SETSUNA identity. 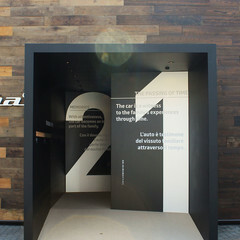 Mitsui says: “Space and time are eternal and infinitive. 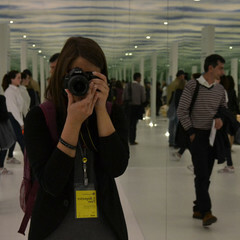 The human being has always contemplated his/her existence between the center and the infinity, between the present and eternity. 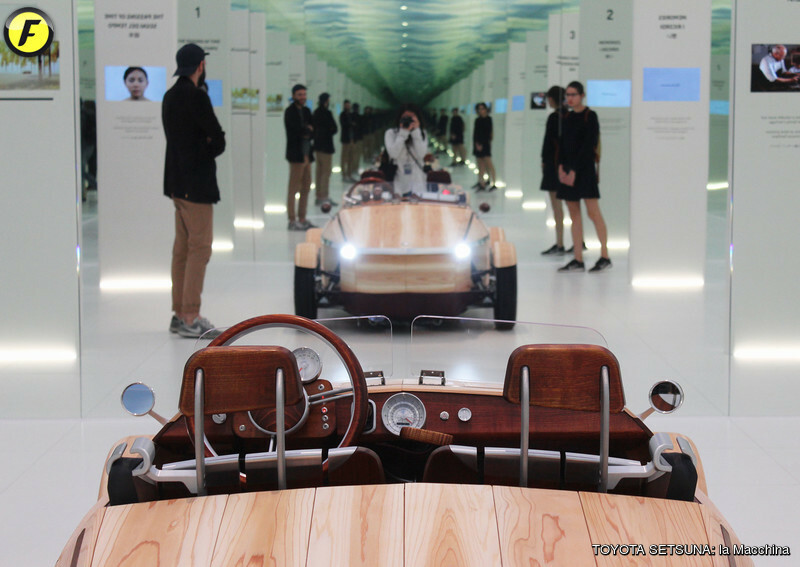 "THE SPAZIO ETERNO" is represented by a replicated modularity of a fragmented clear blue sky that multiplies and expands itself toward the infinity: an appropriate “palco scenico” for THE SETSUNA, the protagonist of this show who passes through times and generations.. 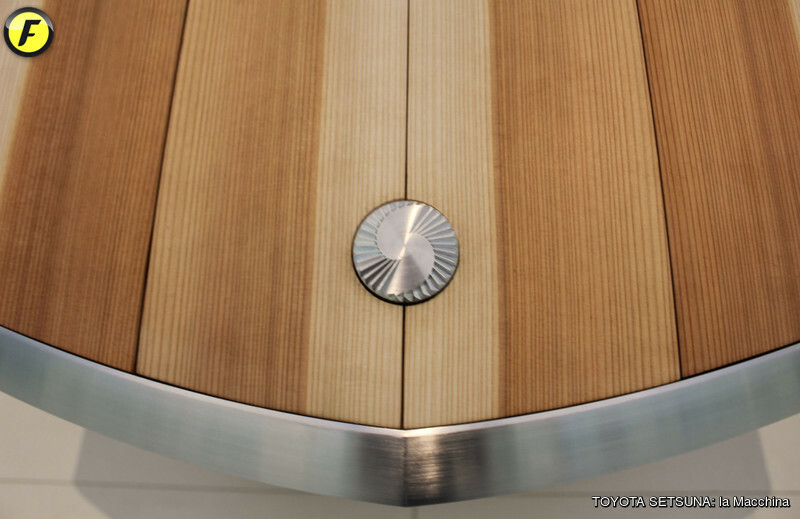 THE SETSUNA and the four monoliths that surround it, are there to represent a steady foothold for a human being, aimed at circumventing the feeling of existential bewilderment in front of the infinity of the universe and the relentless passage of time". 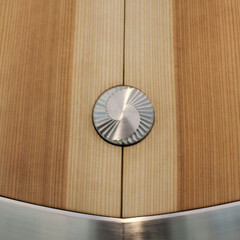 Through an 'educational' path, divided into three sections, visitors access to the central core of the continuity of time, a metaphor for life. 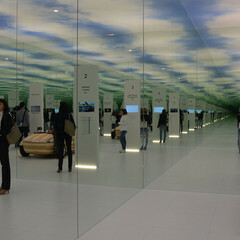 The total white environment, dominated by a permanent and peaceful clear blue sky, progresses into a spectacular experiment of mirrors and reflections that multiply indefinitely the space/time, the symbolic element of eternity, the beginning and the end of that run, a "connecting time" between the past, present and future. 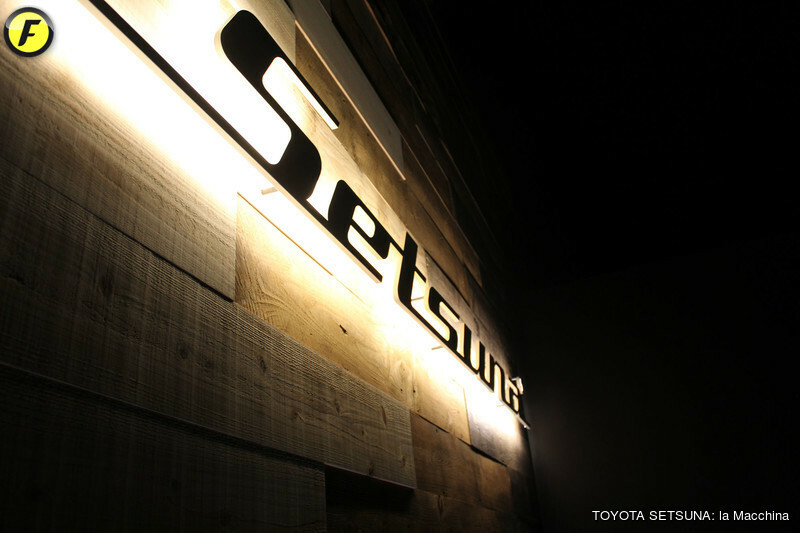 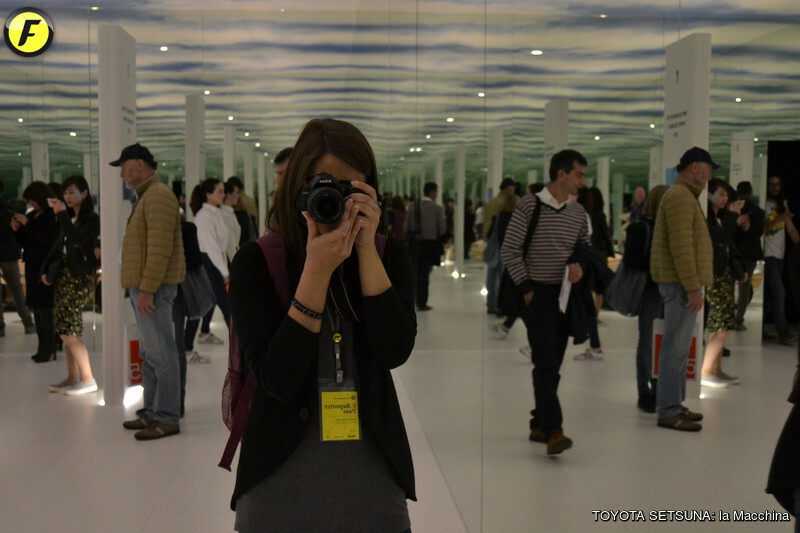 THE SETSUNA is the focus. 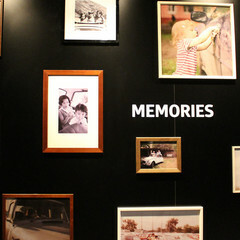 A memories container for the protagonists, where the word, the oral tale, becomes the preferred means of communication. 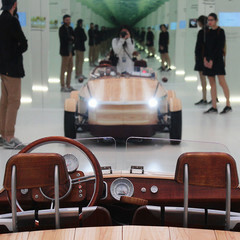 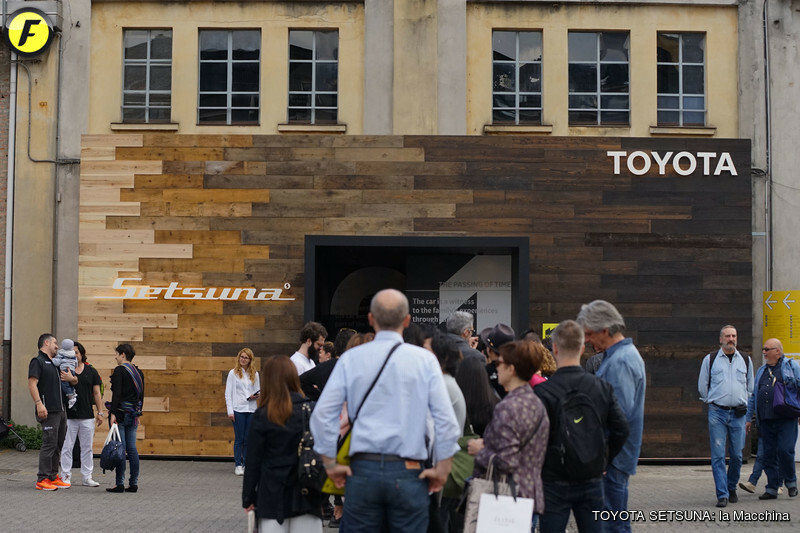 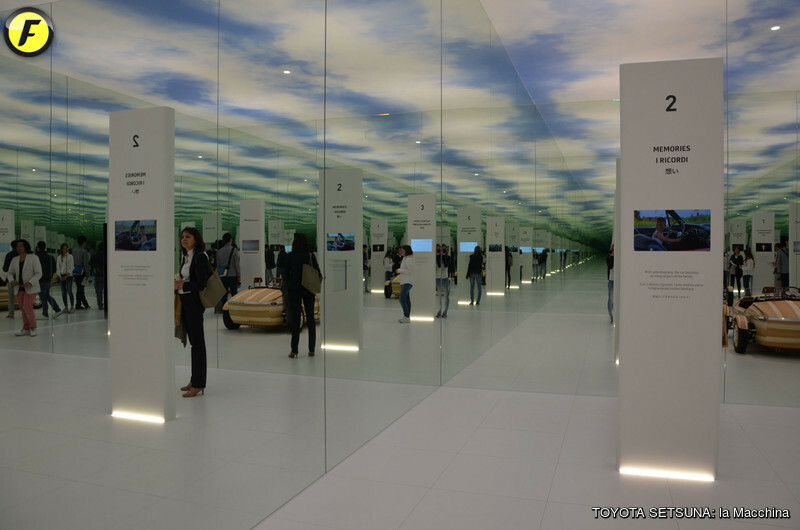 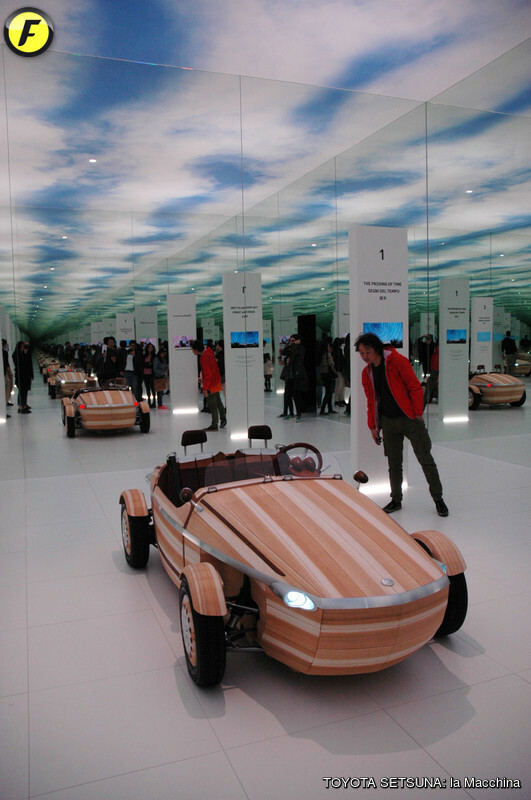 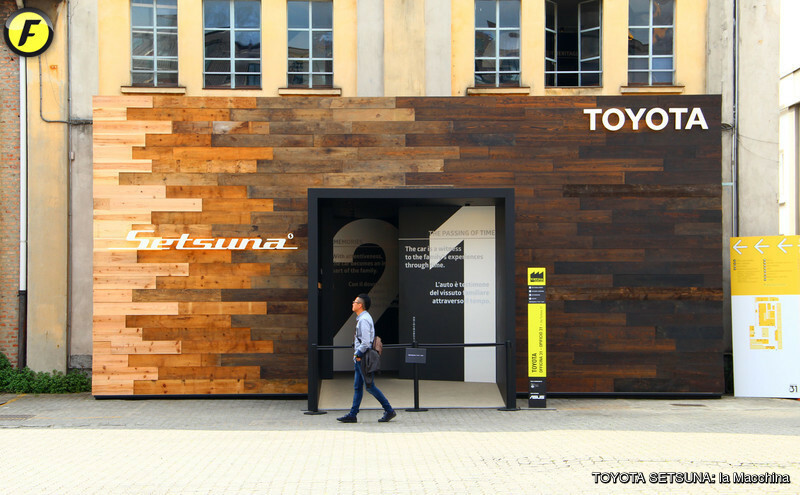 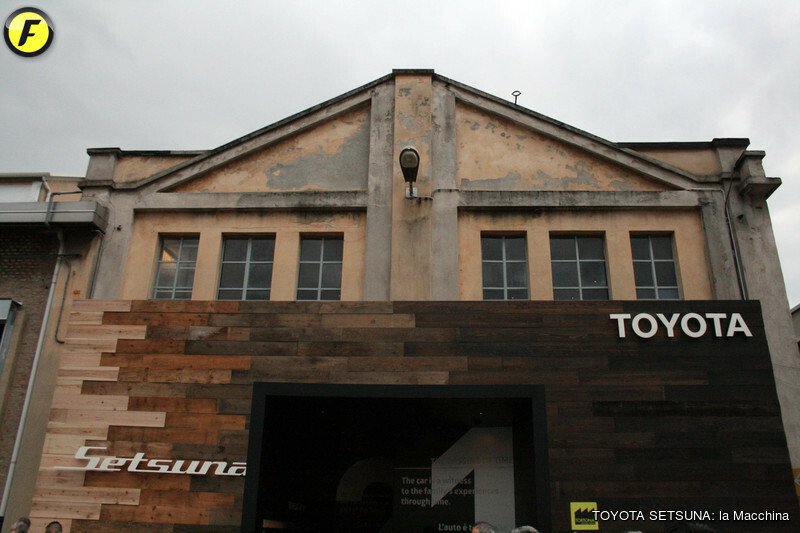 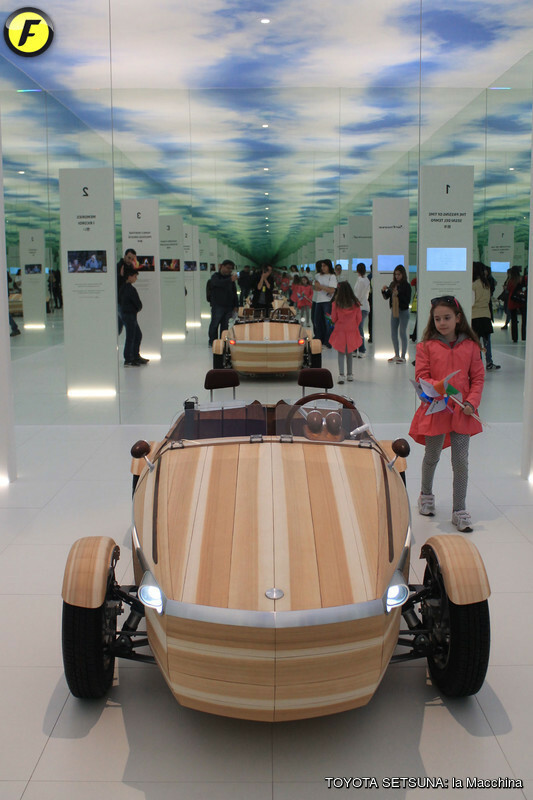 At the Milan Design Week we will be collecting feedback from visitors on the subject of people’s emotional attachment to cars. 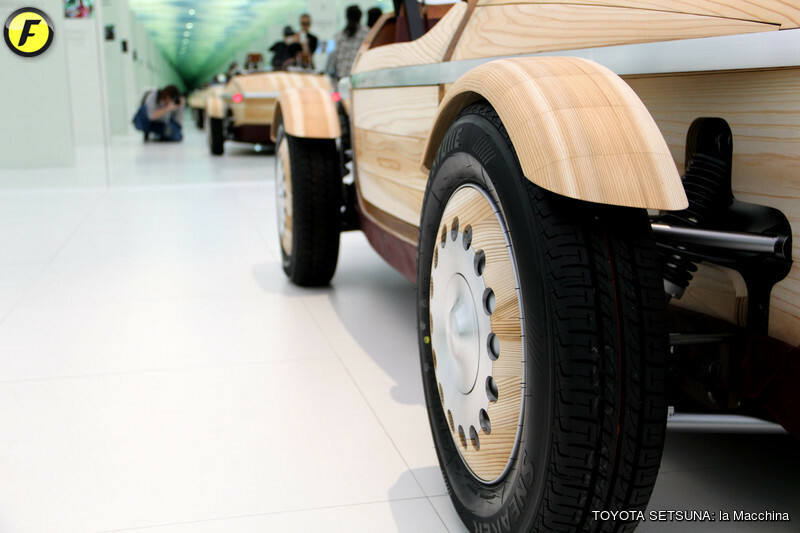 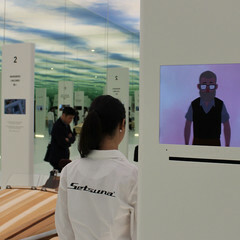 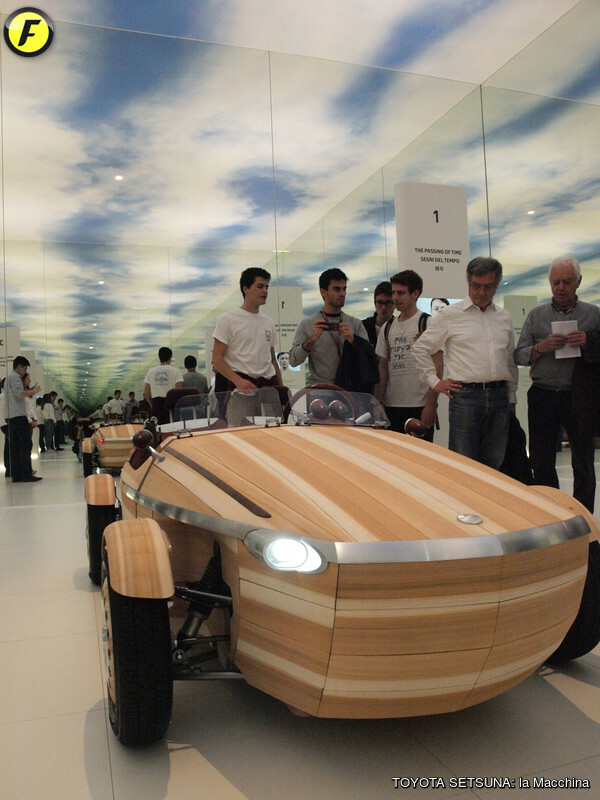 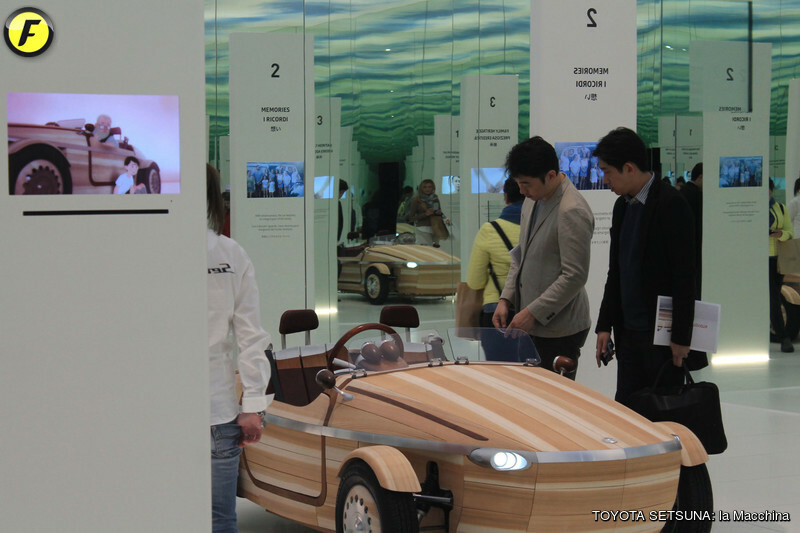 Your input might help us in the development of our next-generation cars.